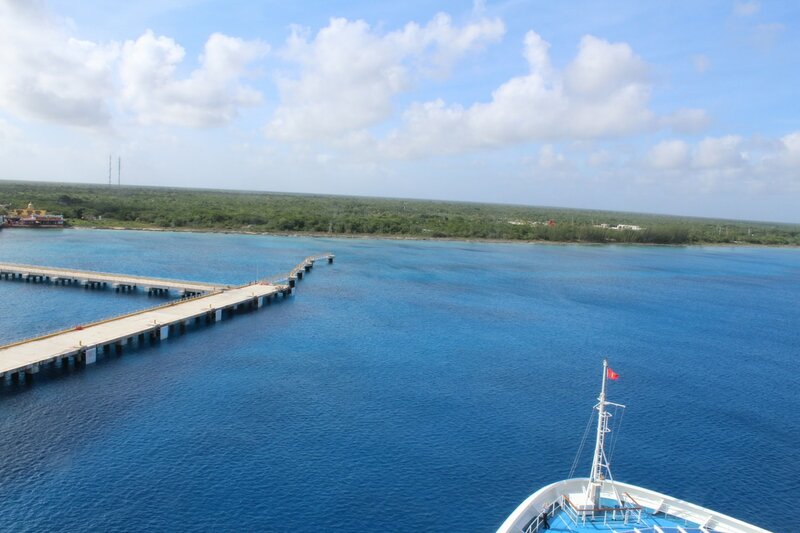 Our scheduled arrival was 9:00am. 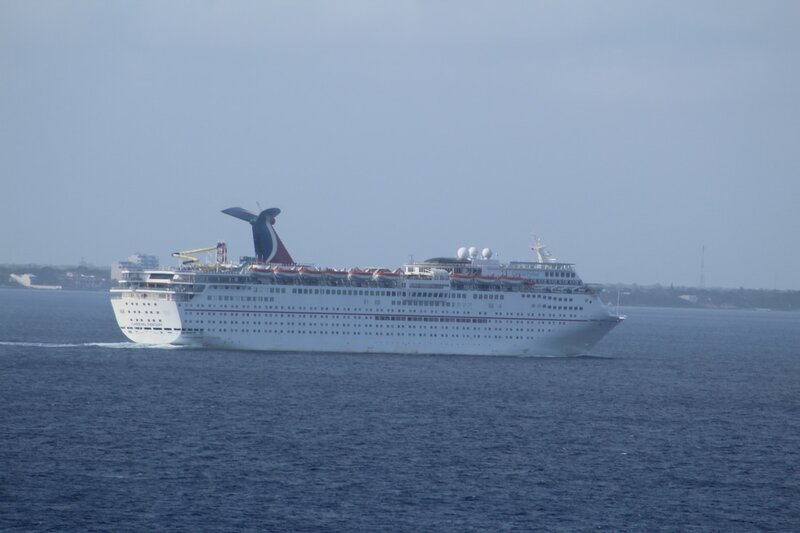 However, the ship docked around 9:45am. 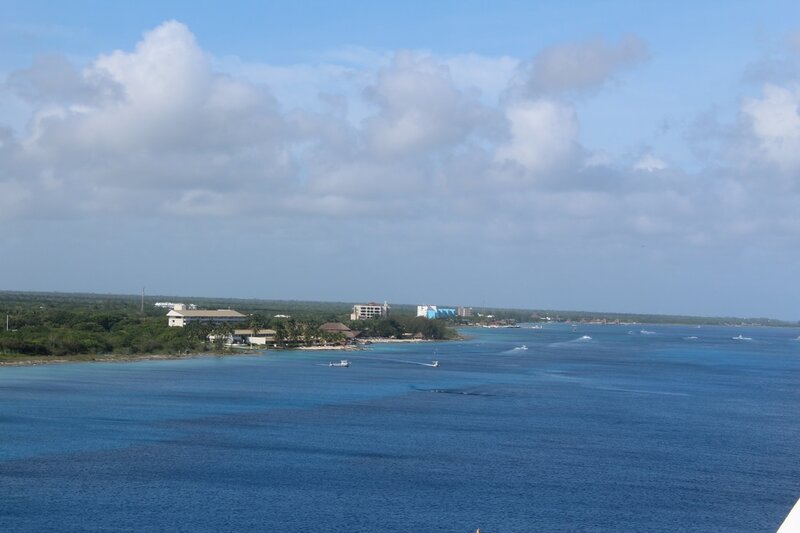 After eating breakfast I walked outside and went up to the Panorama Deck (11) to see our arrival into Cozumel. 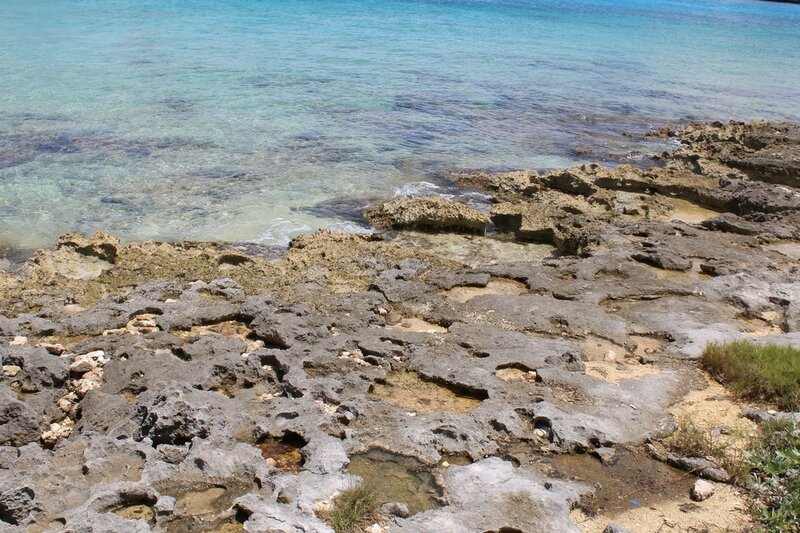 My camera lenses surprisingly did not become fogged like I expected. 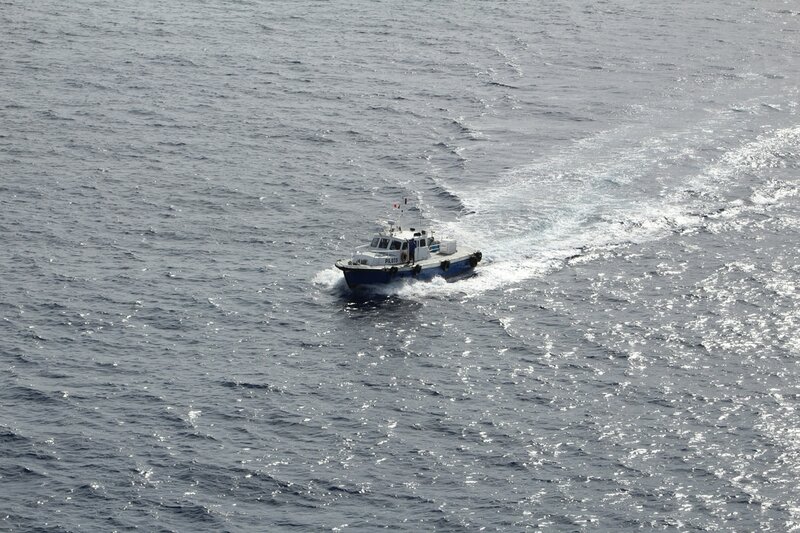 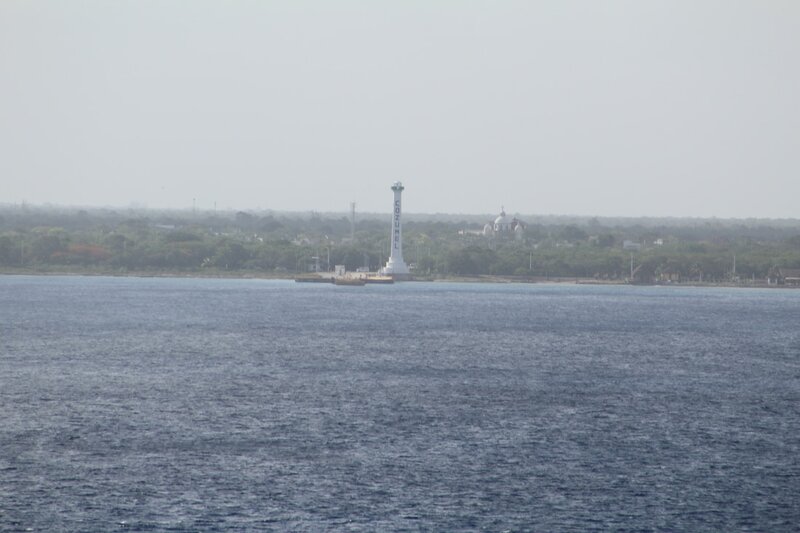 I was able to take several pictures of the ship's arrival in Cozumel. 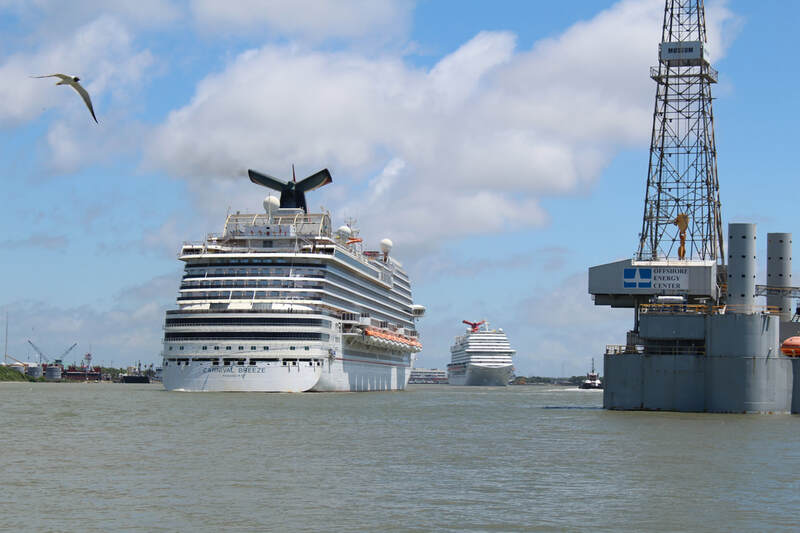 The Carnival Fantasy was sailing a few miles closer to shore than us and docked about 10-15 minutes prior to us at the same pier complex. 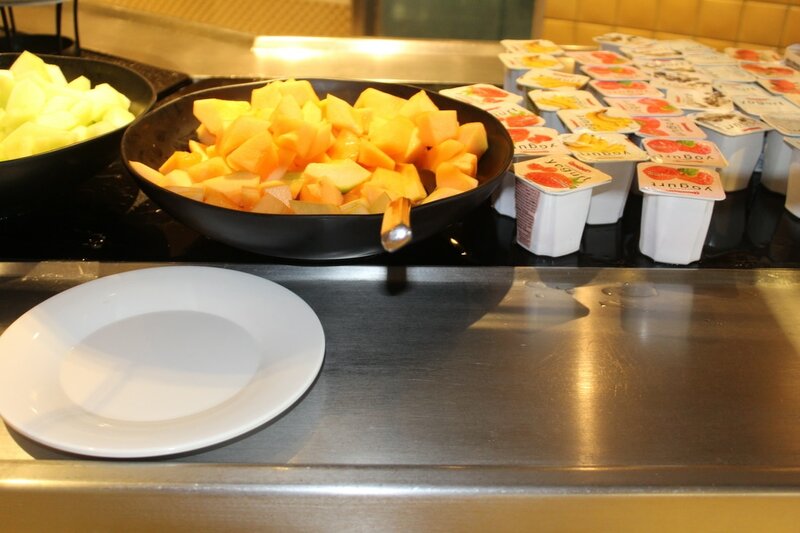 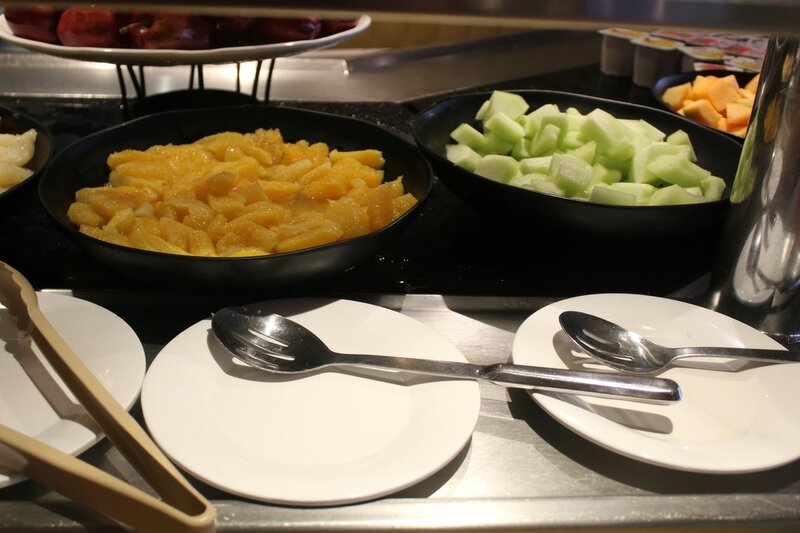 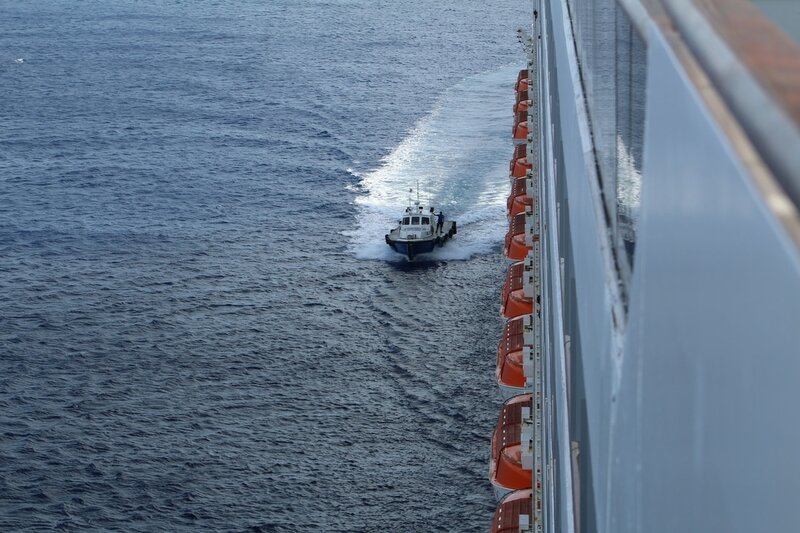 Around 8:45am, our captain made an announcement that we were docking late. 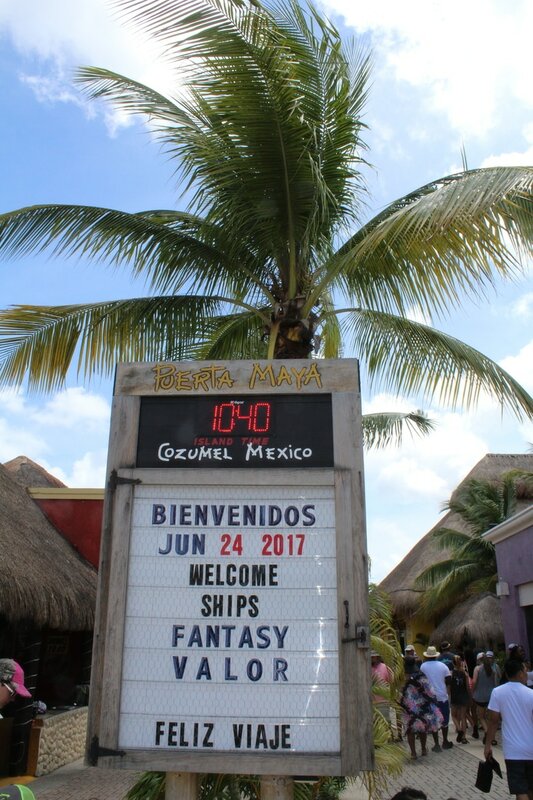 He did not provide a reason, but extended our time in Cozumel by 30 minutes. 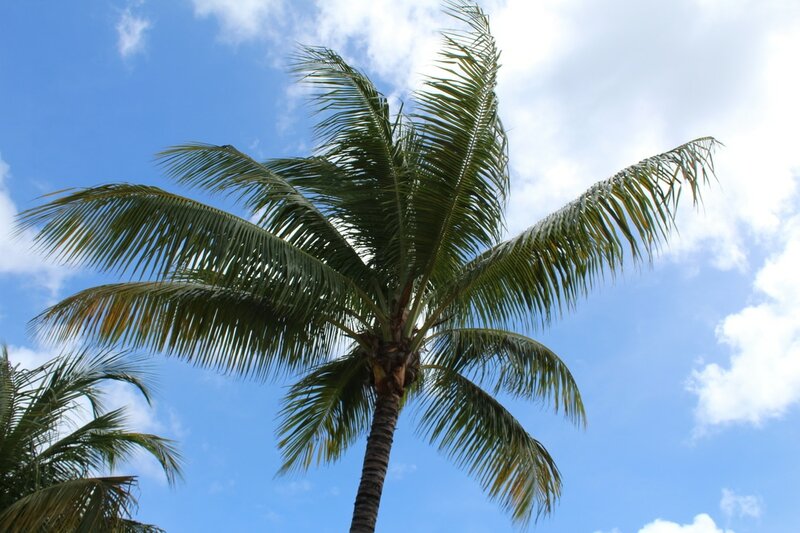 I have a feeling our weather delay from the first day was part of the reason why we were late. 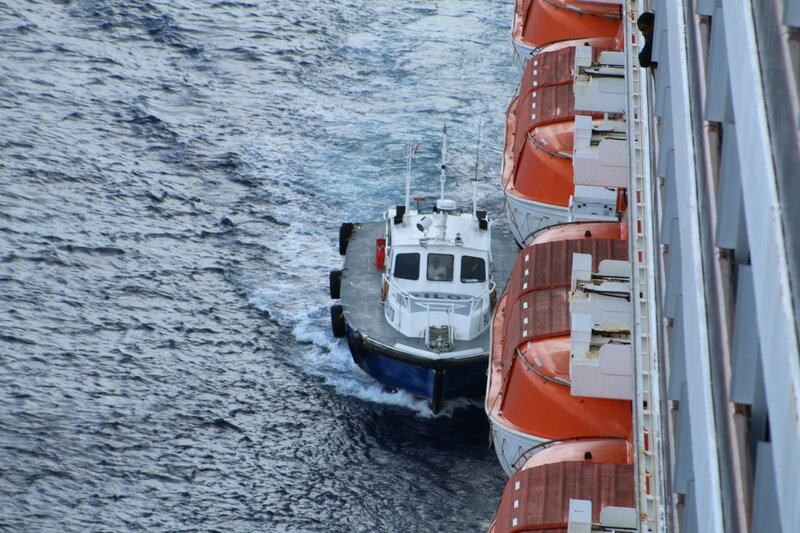 As we got closer to docking, the pilot boat approached us. 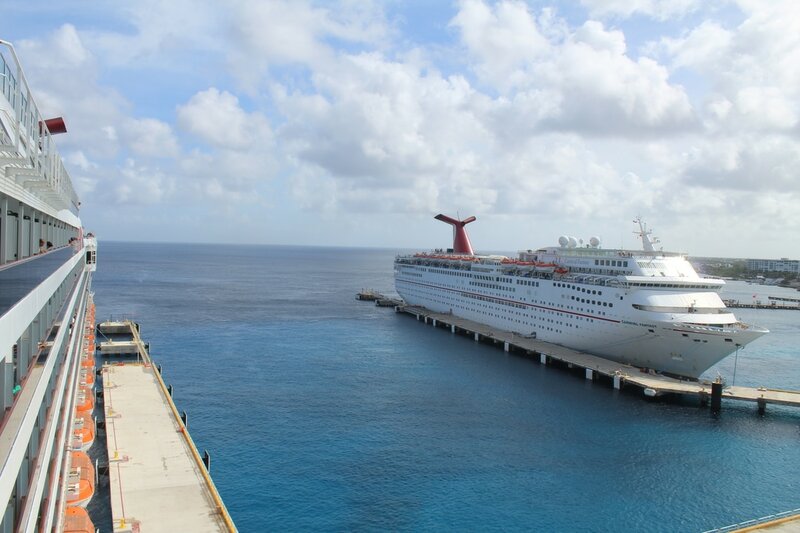 From the front decks of Deck 11, I watched the pilot boat stop at the Carnival Fantasy and then proceed over to us. 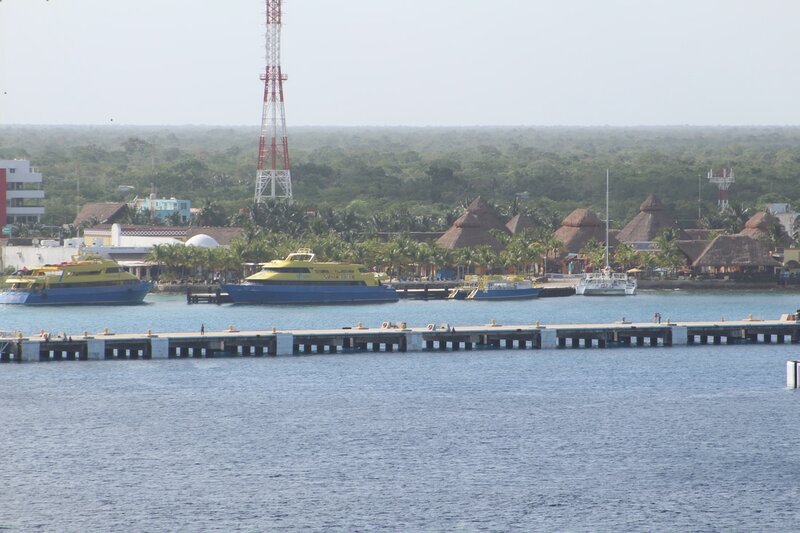 The Carnival Valor, like most of my cruises to Cozumel in the past, was scheduled to dock at Puerta Maya Pier. 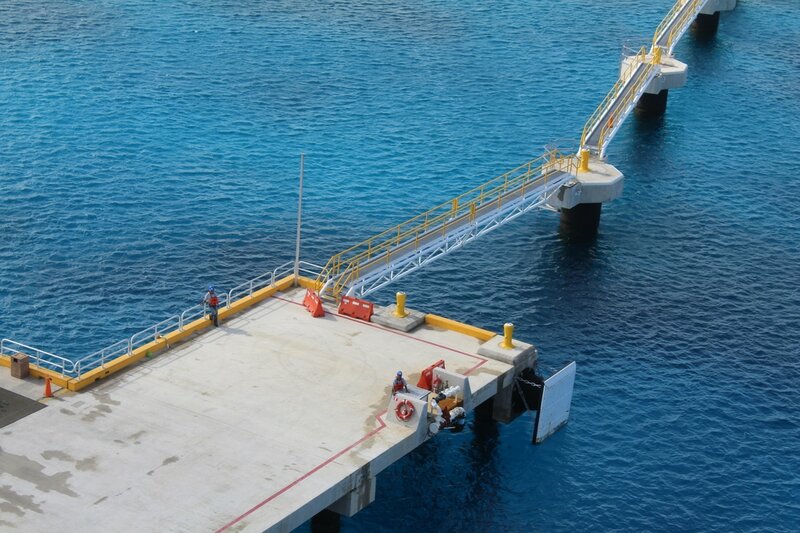 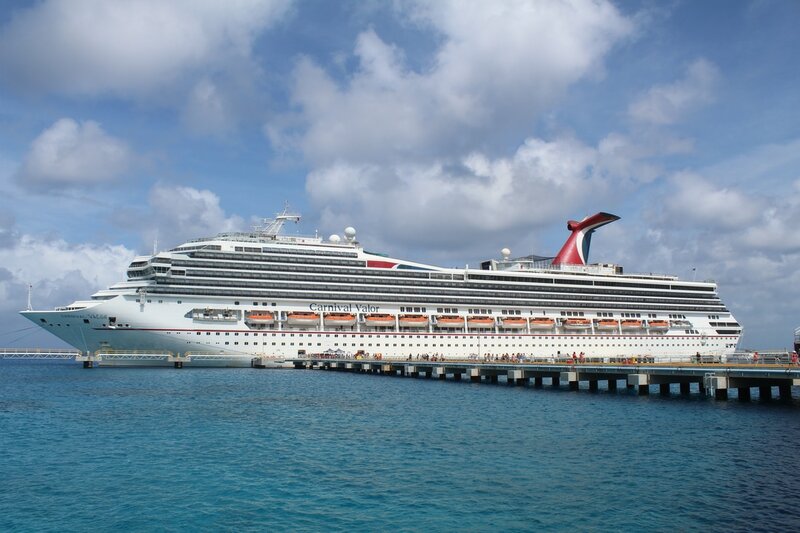 This pier is affiliated with Carnival Corporation and typically Carnival ships will dock here. 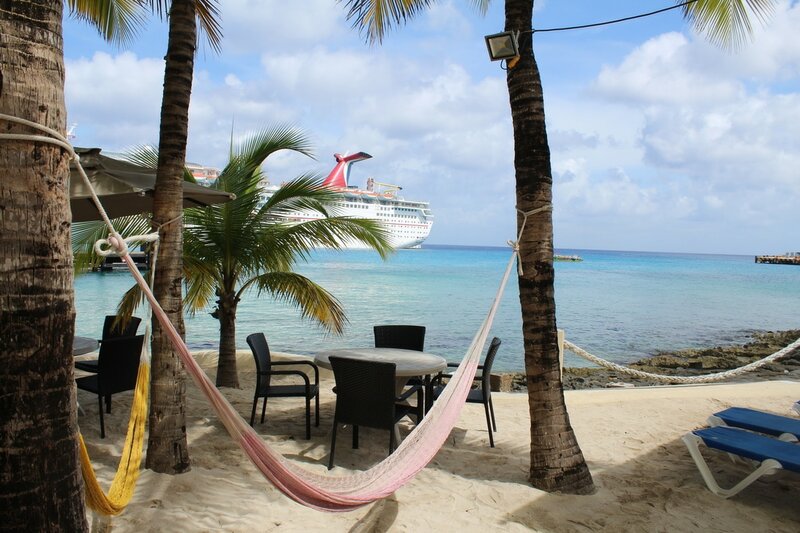 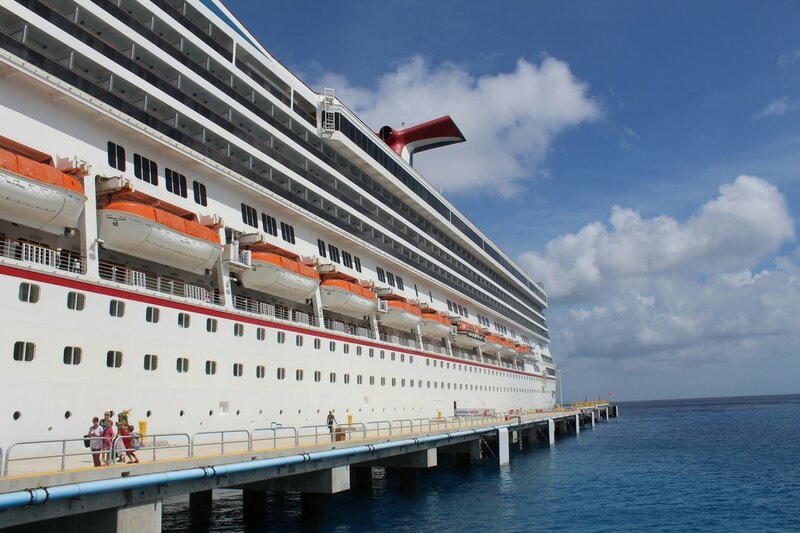 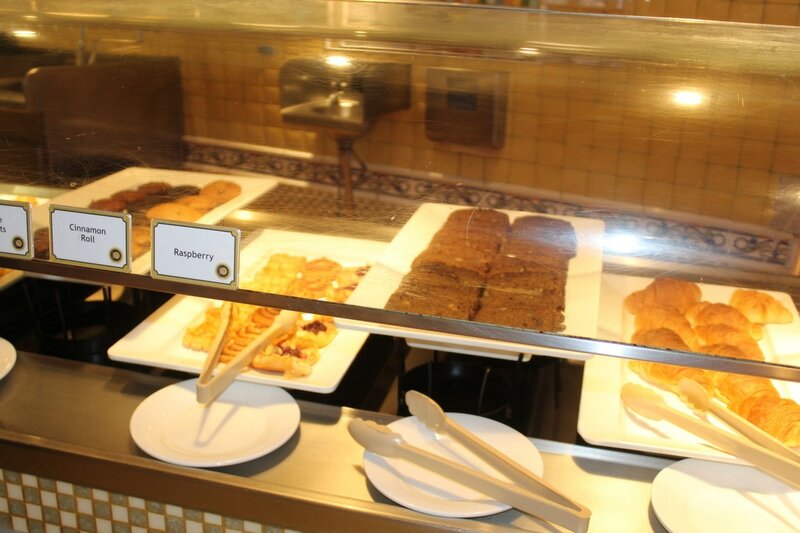 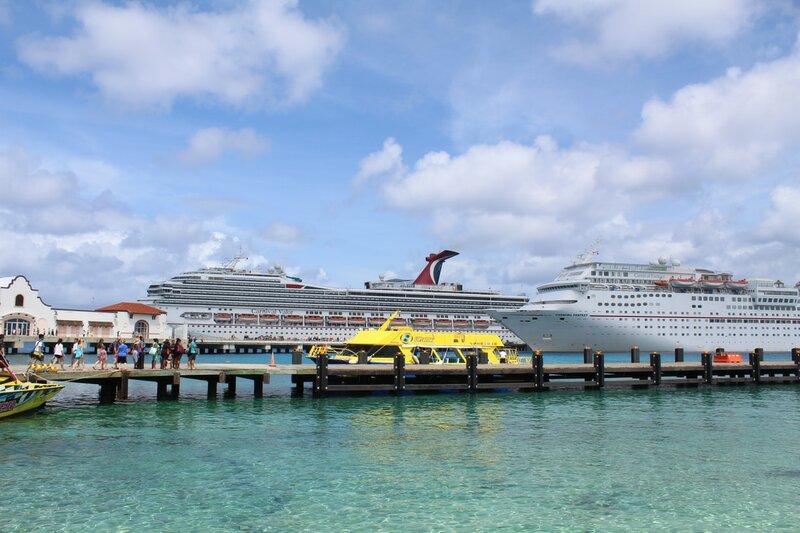 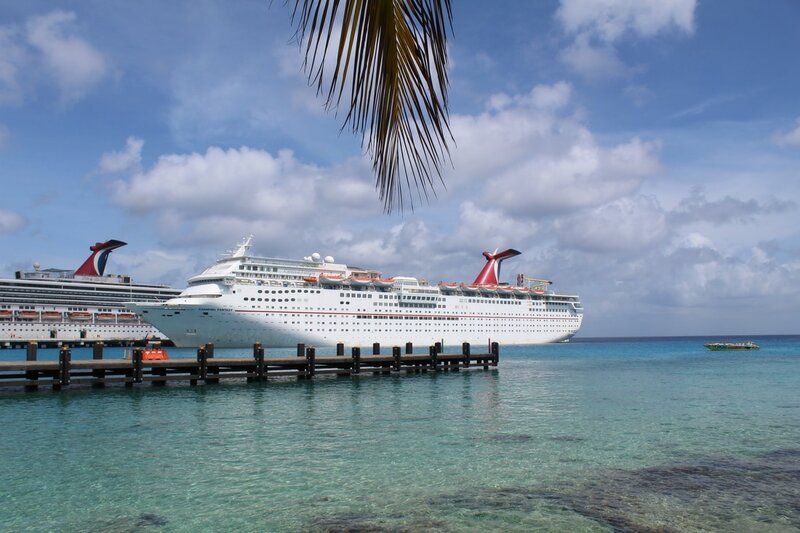 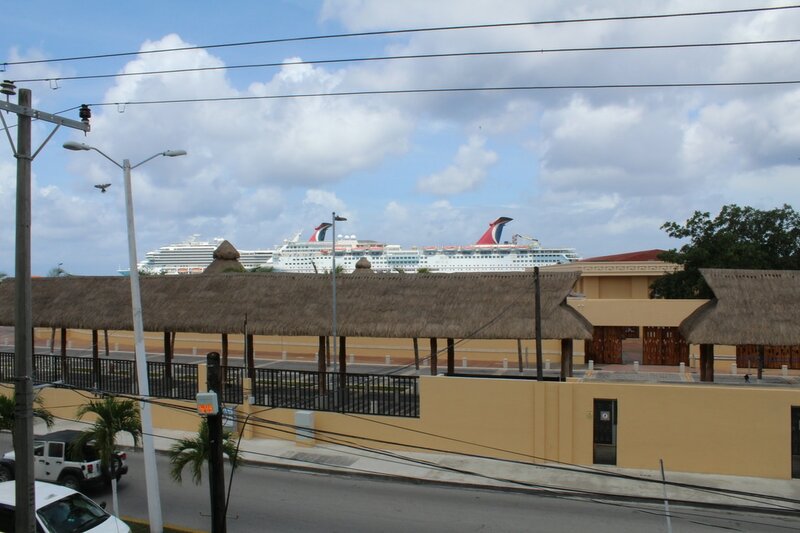 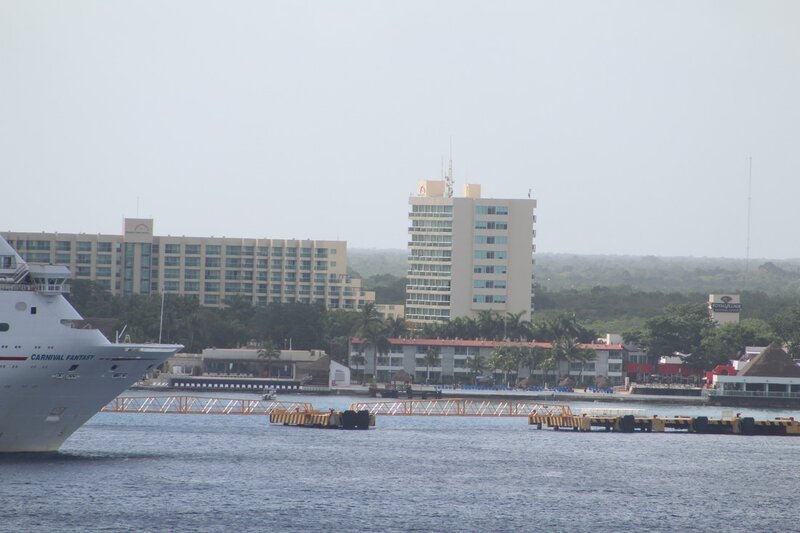 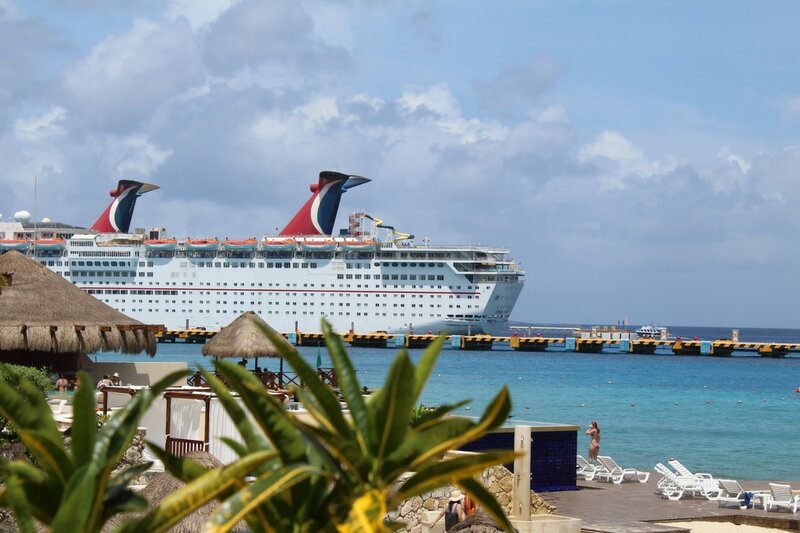 Last year when I cruised to Cozumel on the Carnival Triumph, three ships docked at Puerta Maya. 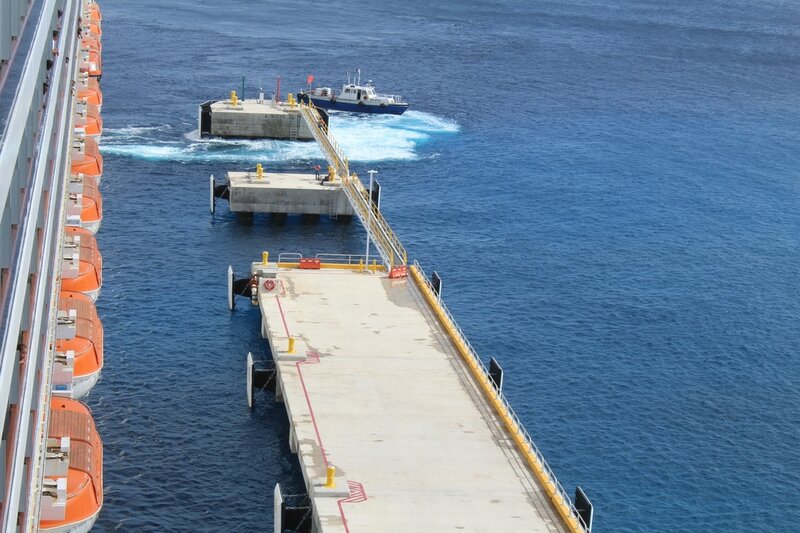 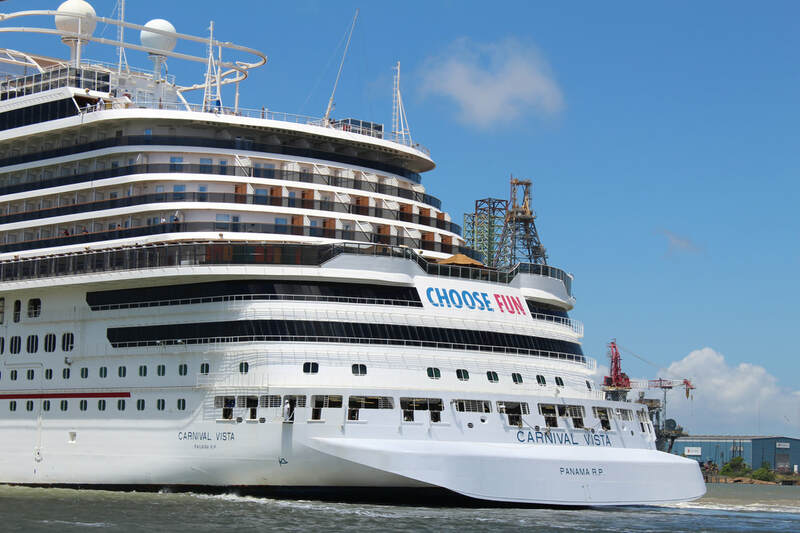 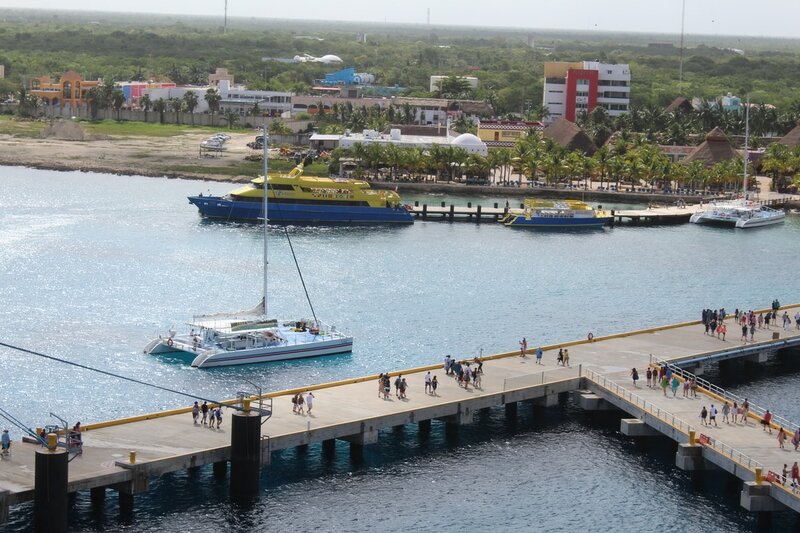 However, for this cruise's Cozumel day there would only be two ships using the pier complex. 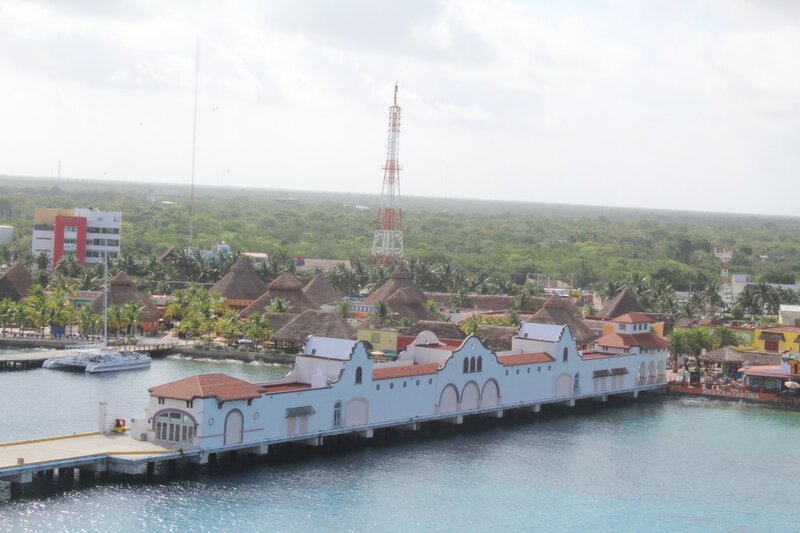 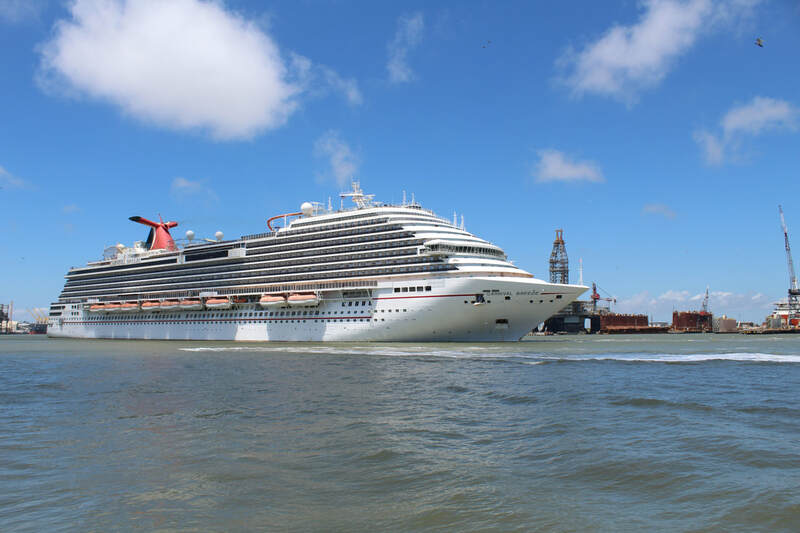 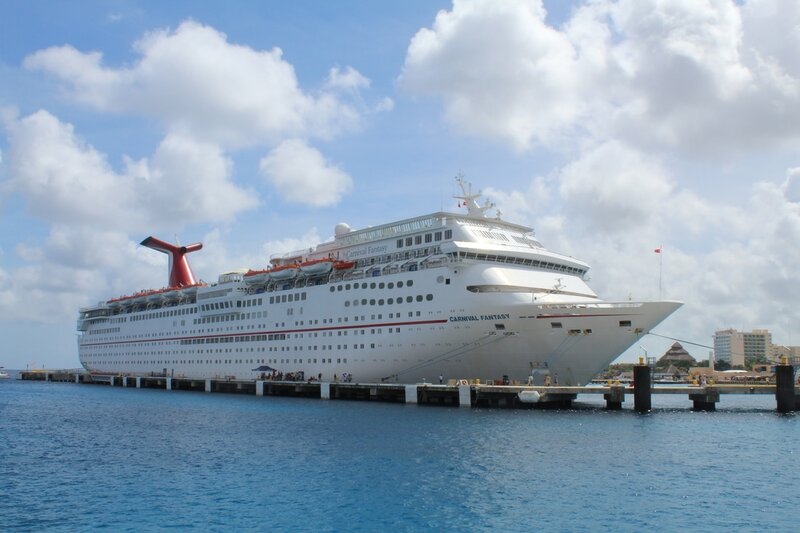 The Carnival Valor and Carnival Fantasy were the only ships to dock at Puerta Maya Pier on this day. 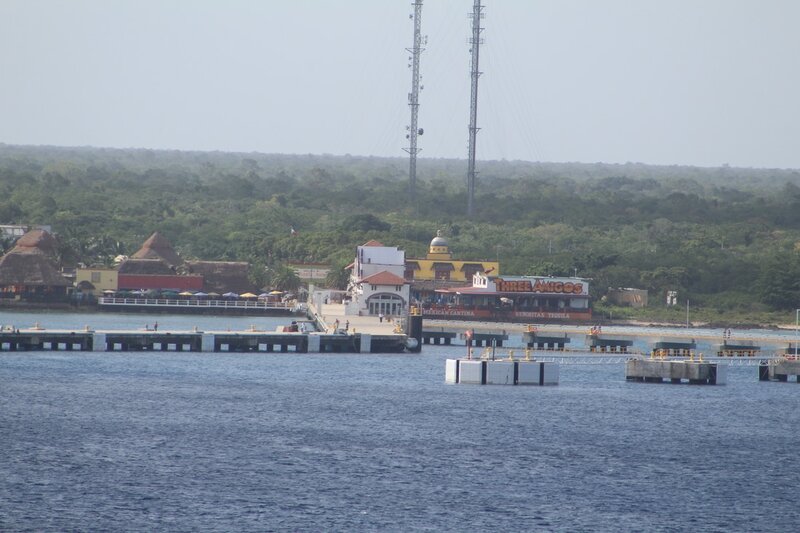 As we were approaching Puerta Maya Pier, the Carnival Fantasy was just getting fully docked. 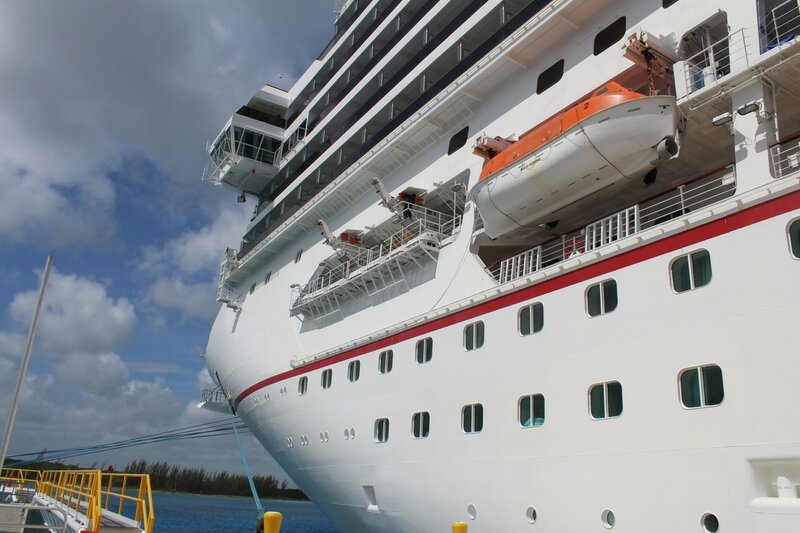 By the time our ropes were being tied, the Carnival Fantasy's passengers were already getting off the ship to head into Cozumel. 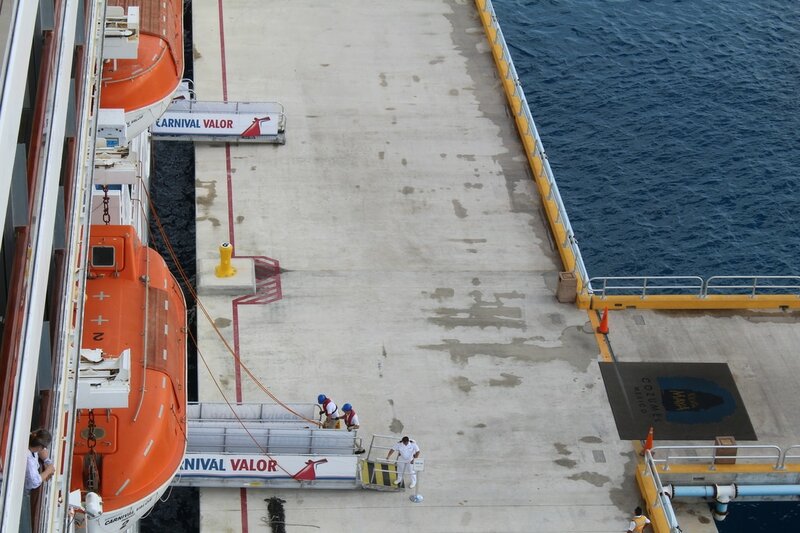 Shortly after the Carnival Valor's ropes were tied to the pier, the gangways were put out. 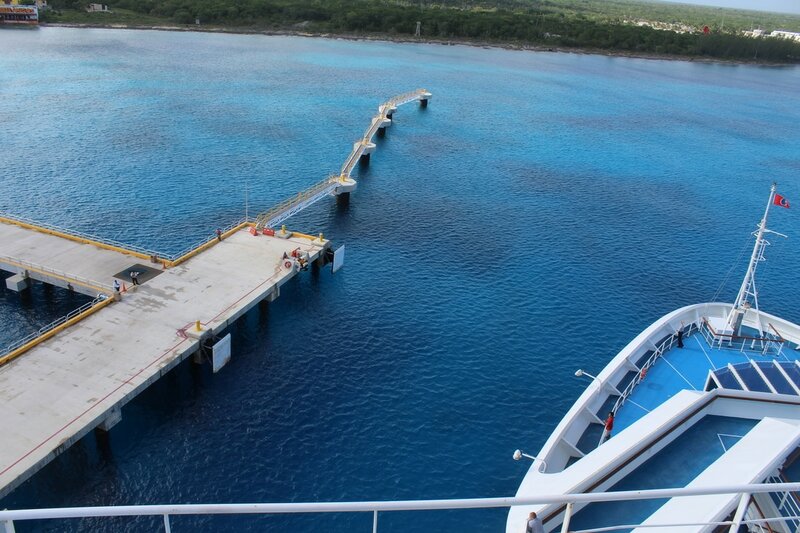 A few minutes later, passengers started pouring out of the gangways. 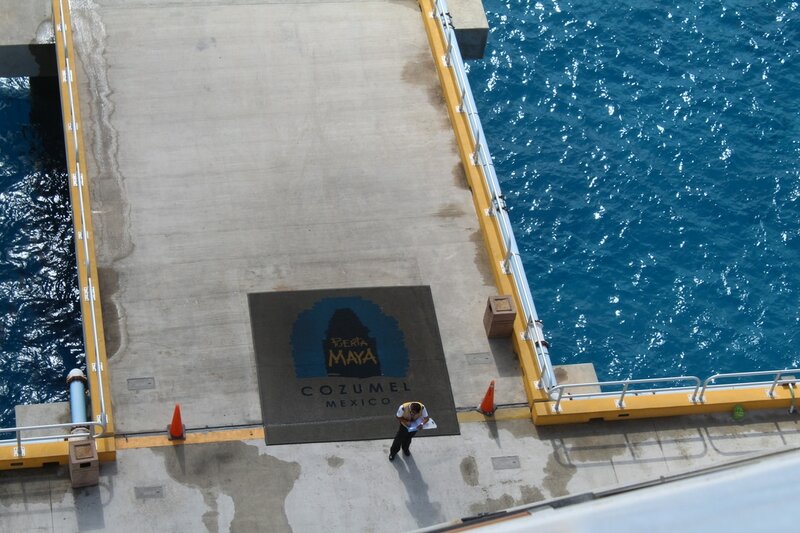 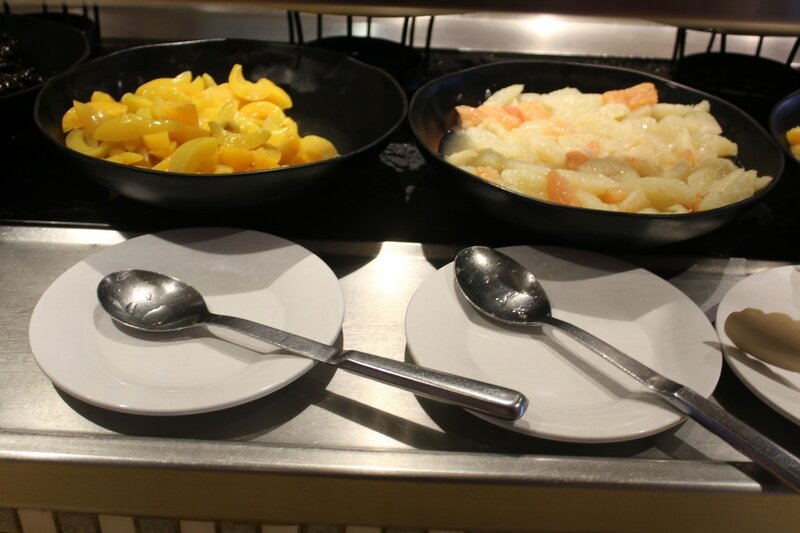 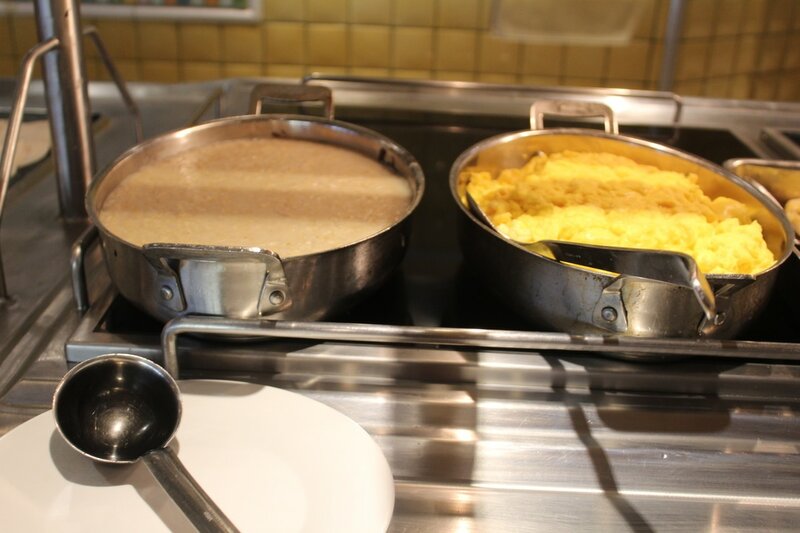 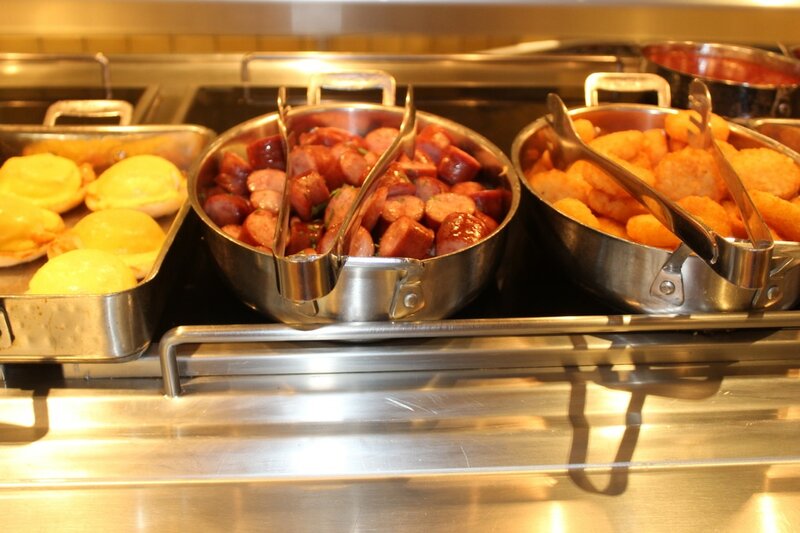 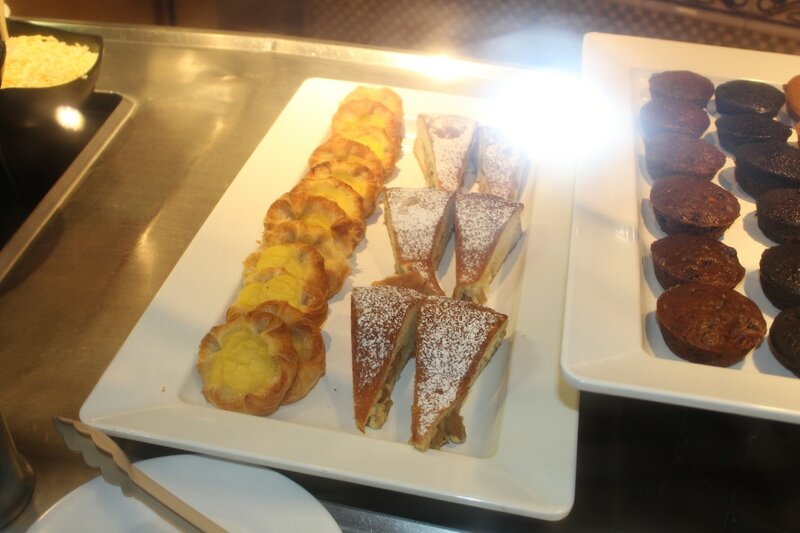 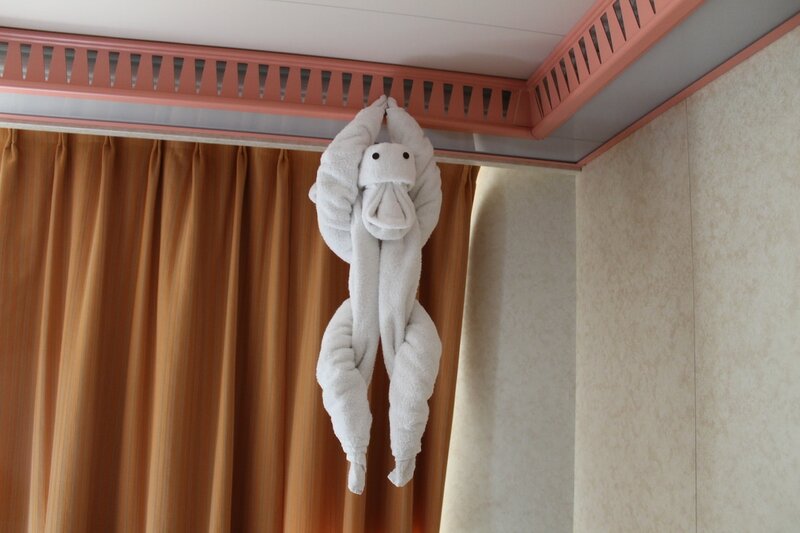 Around 10am, we decided to get off the ship. 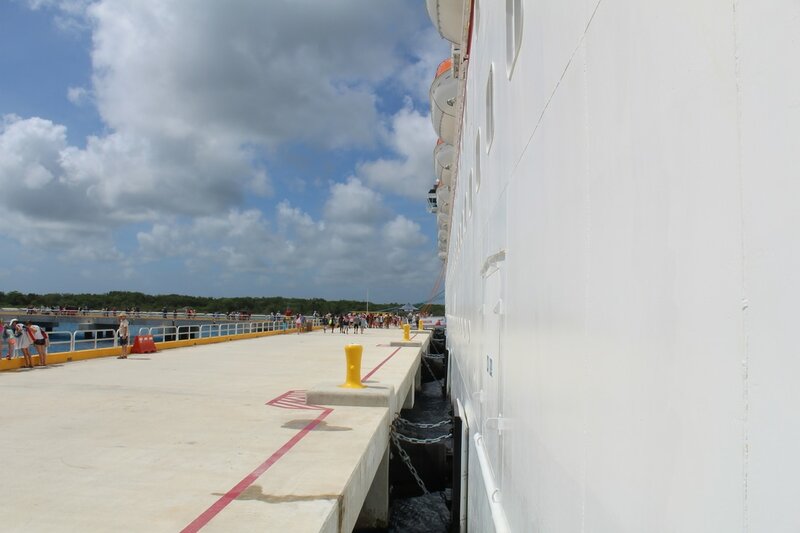 There was a long line at the gangway because the lines were backed up due to the ship's photographers. 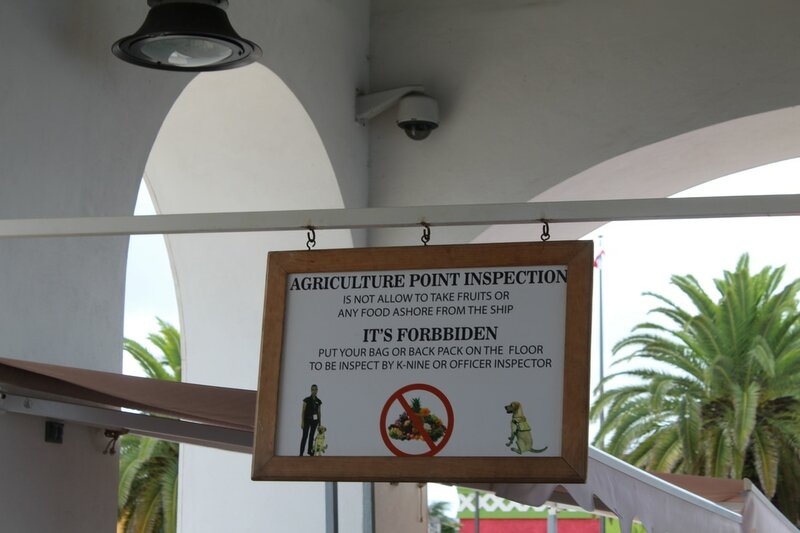 Once our Sail & Sign cards were scanned, we were able to proceed down the gangway. 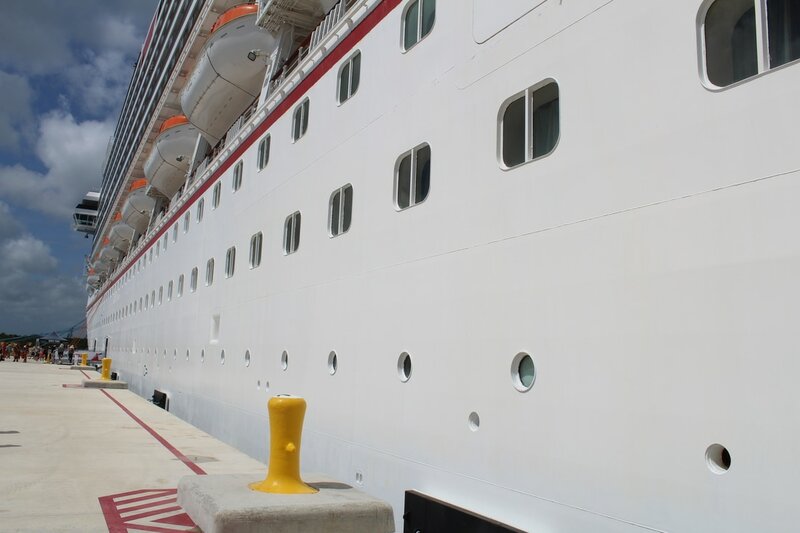 The ship's photographers were waiting at the bottom of the gangway to take pictures of each cruiser. 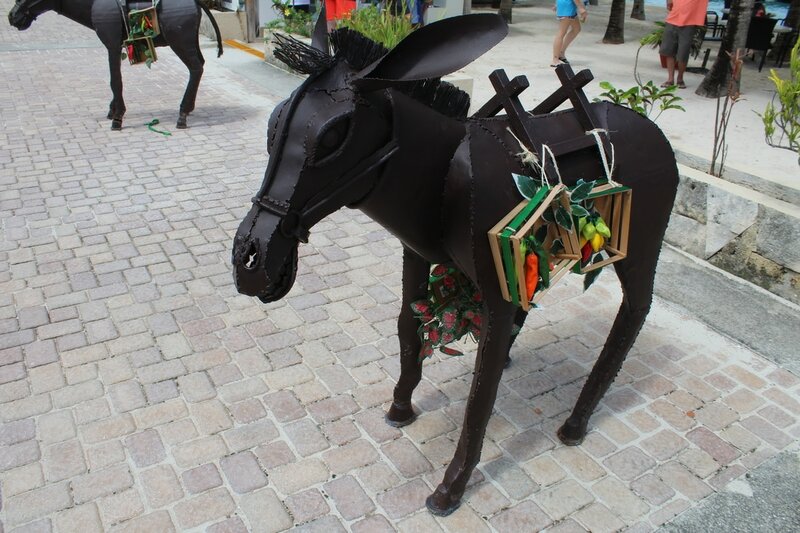 I did not want my picture taken because I knew I was not going to buy it. 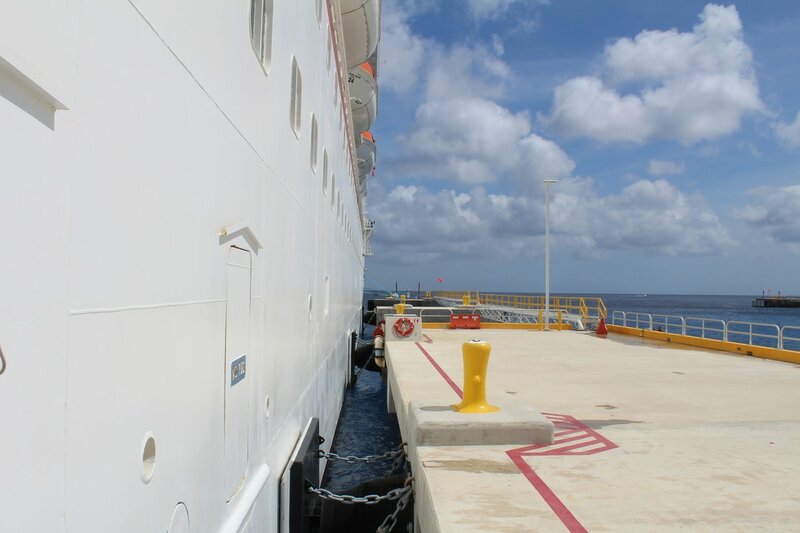 We used the middle gangway to disembark the ship, but this gangway was closed about 10 minutes after we got off due to the ship's staff only wanting to use the forward gangway. 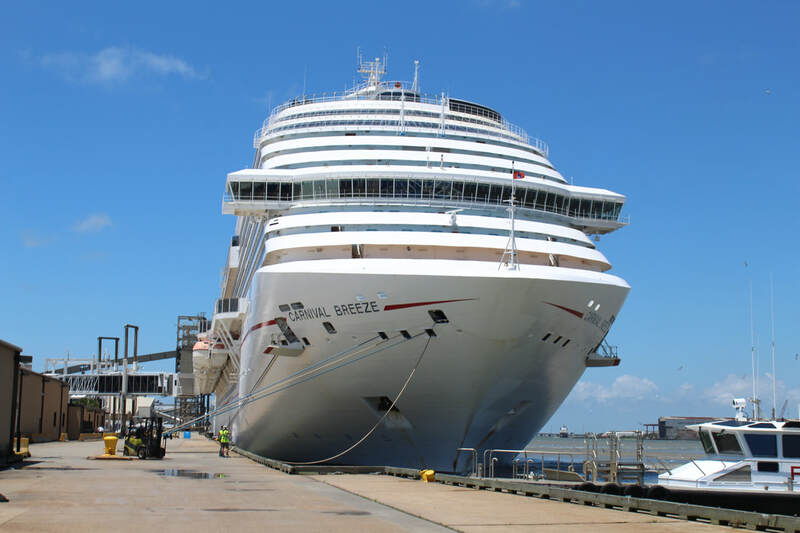 The middle gangway was reopened later in the afternoon to help get passengers back on the ship faster. 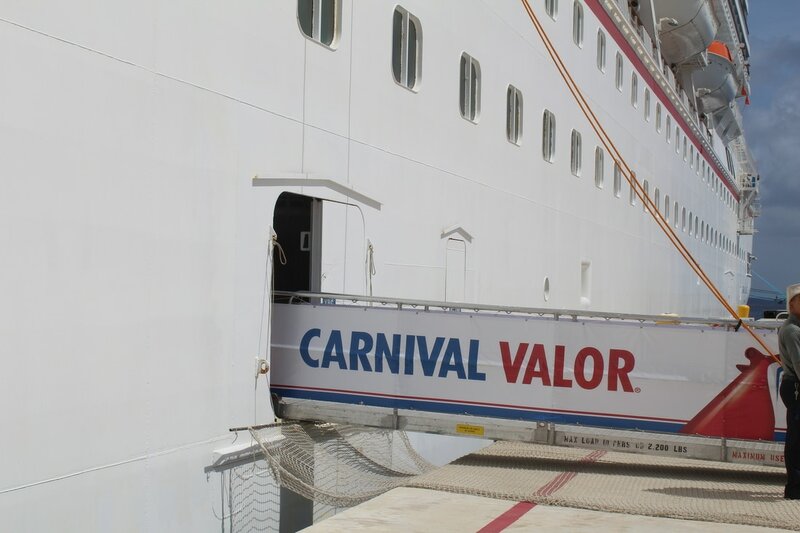 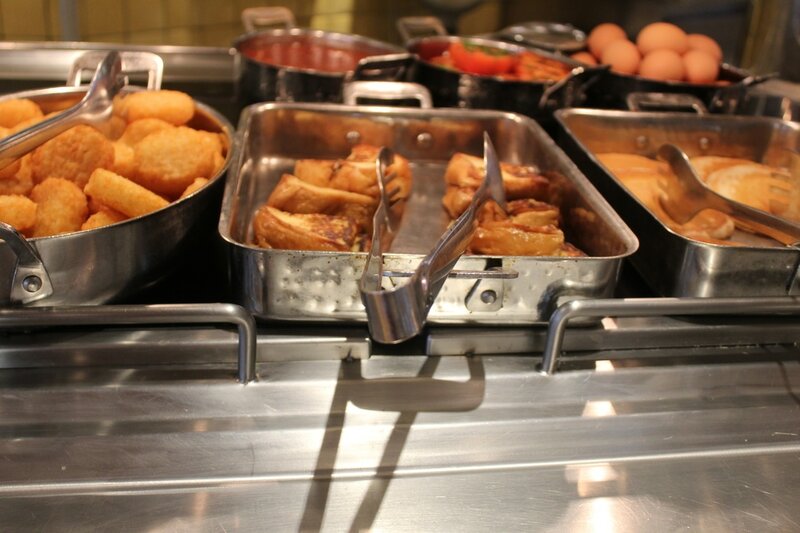 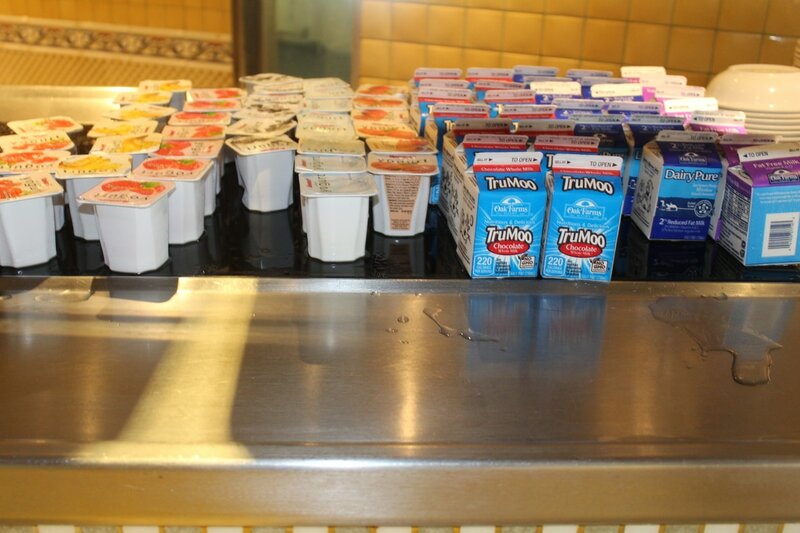 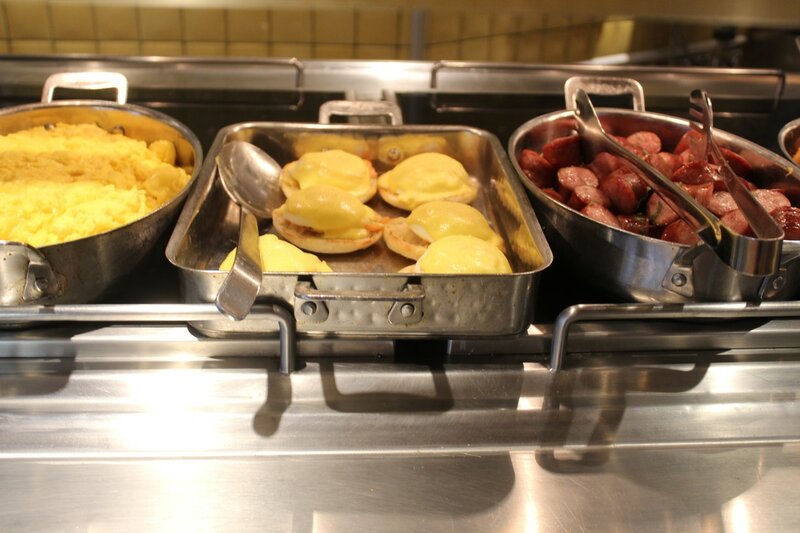 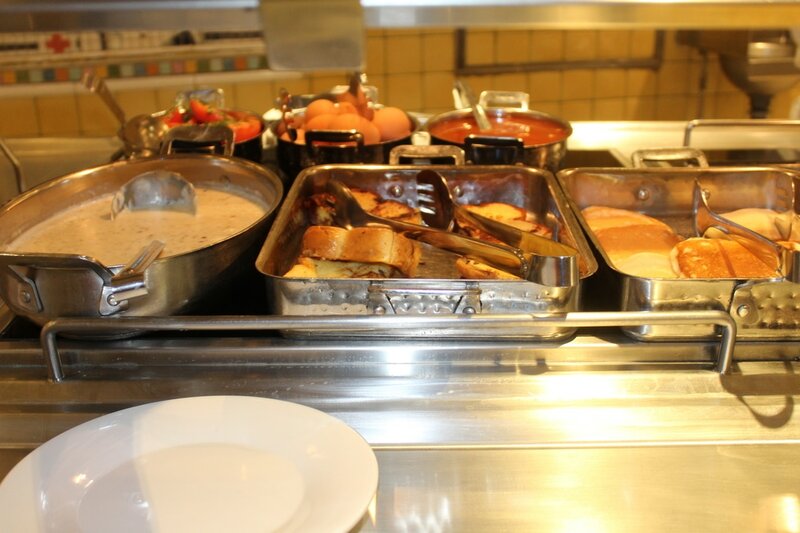 Both gangways were located on the Carnival Valor's Deck 0, which is normally off-limits to guests. 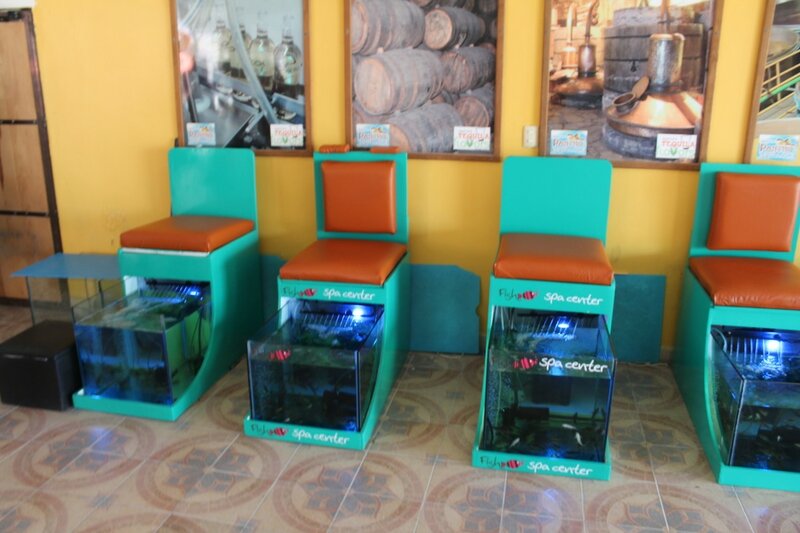 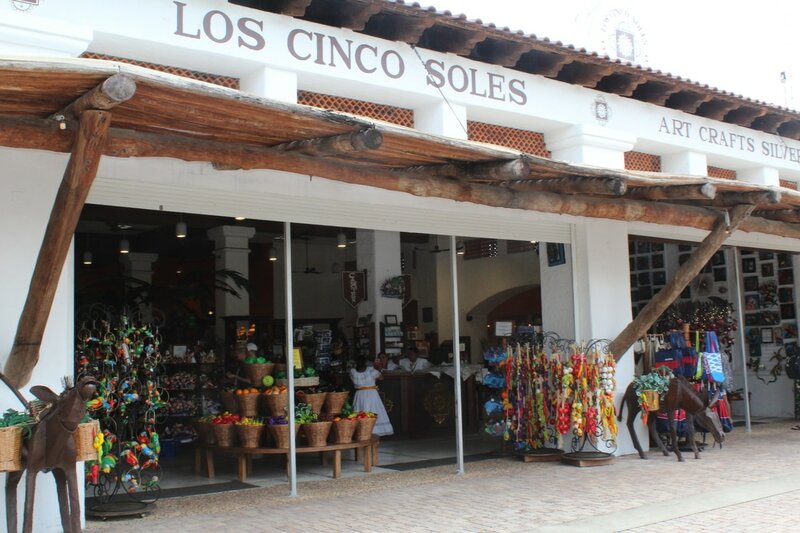 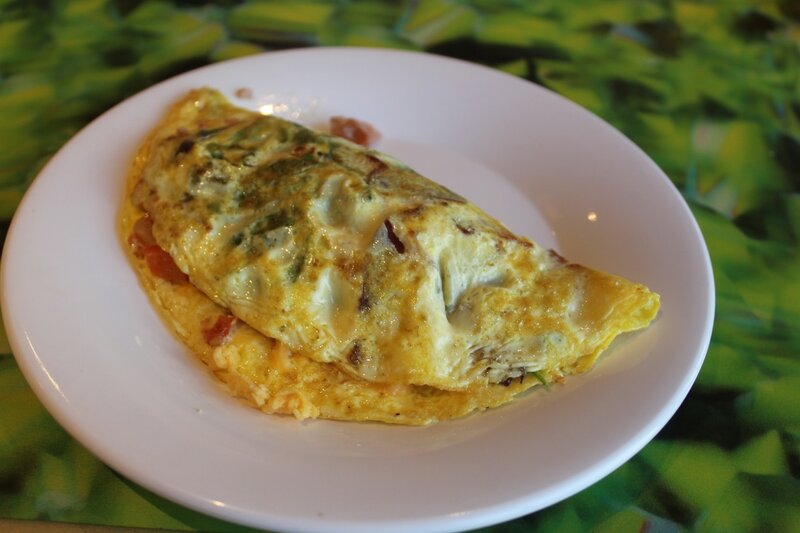 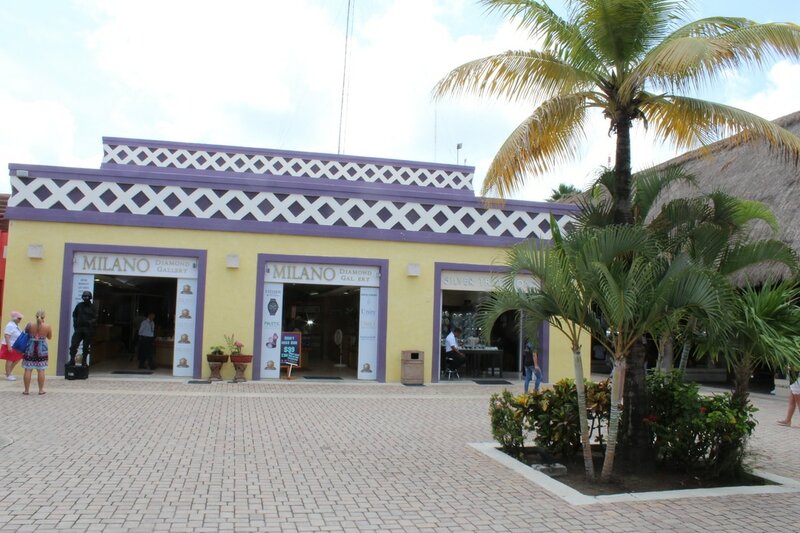 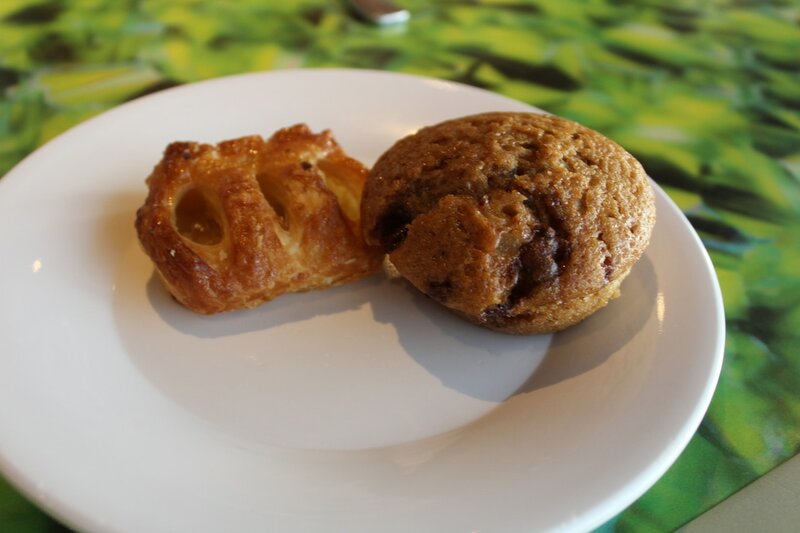 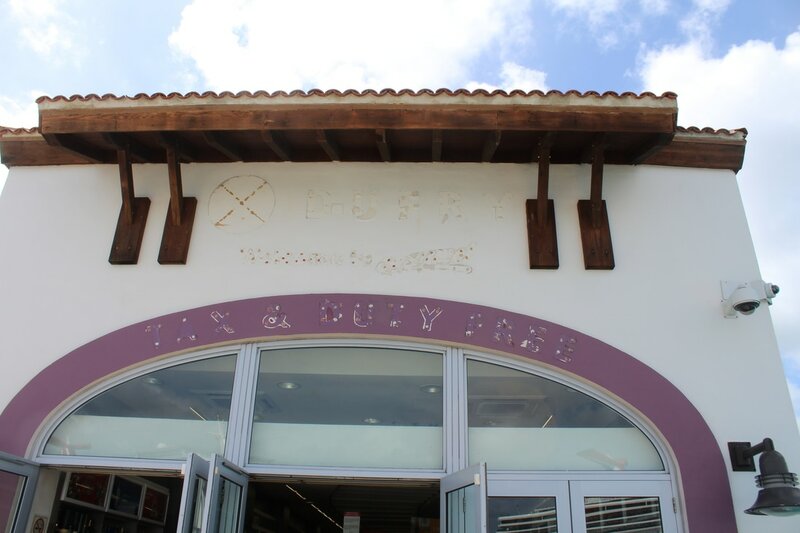 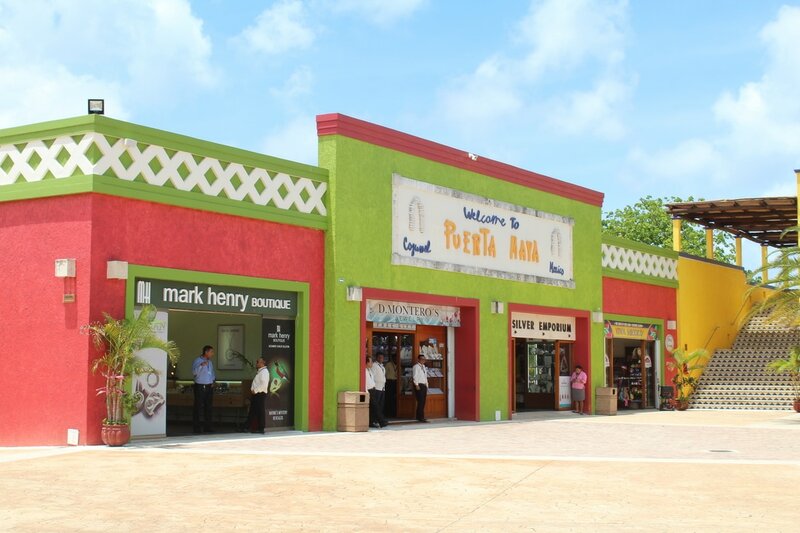 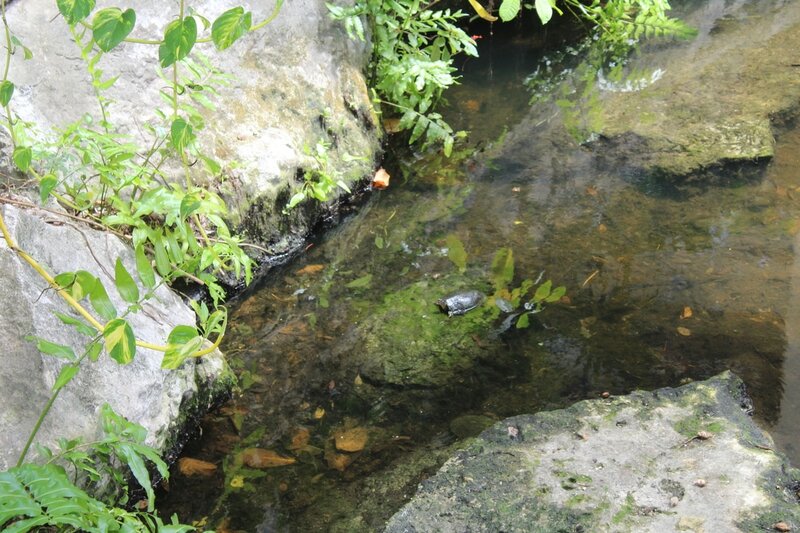 Following the agricultural inspection, we were free to roam around the Puerta Maya shops or go elsewhere in Cozumel. 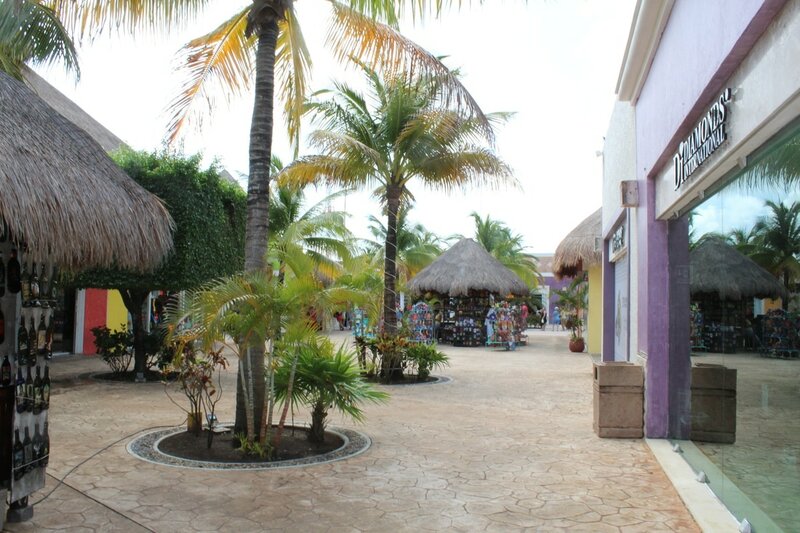 We walked around and took a 2-3 minute walk to a mini beach that is a part of Puerta Maya. 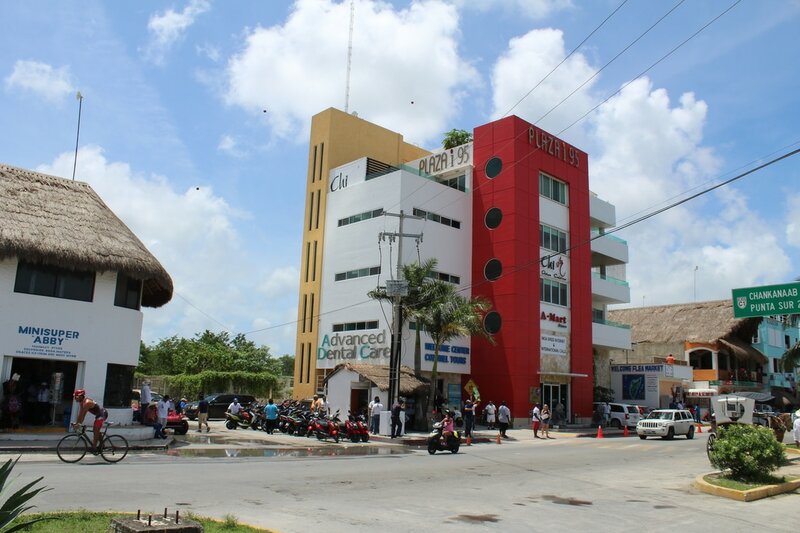 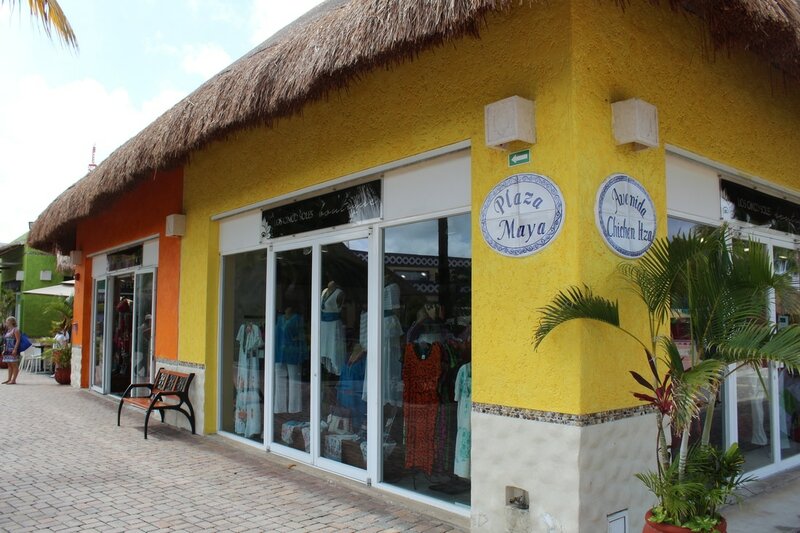 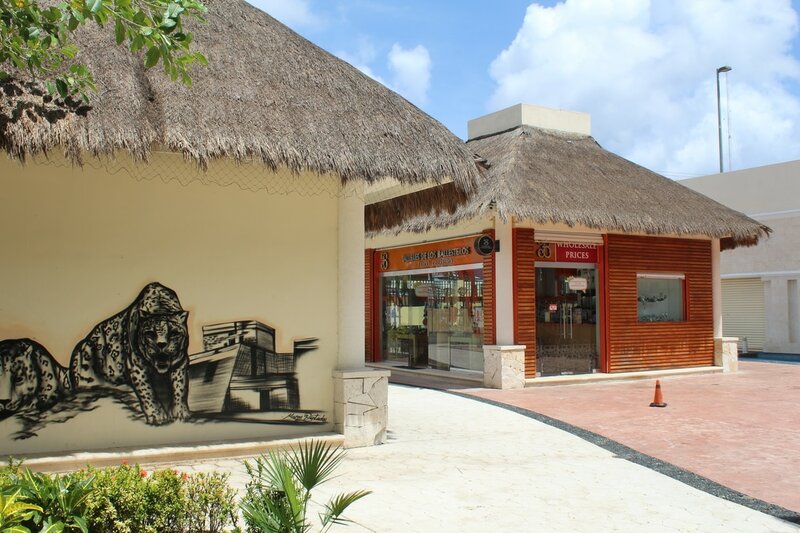 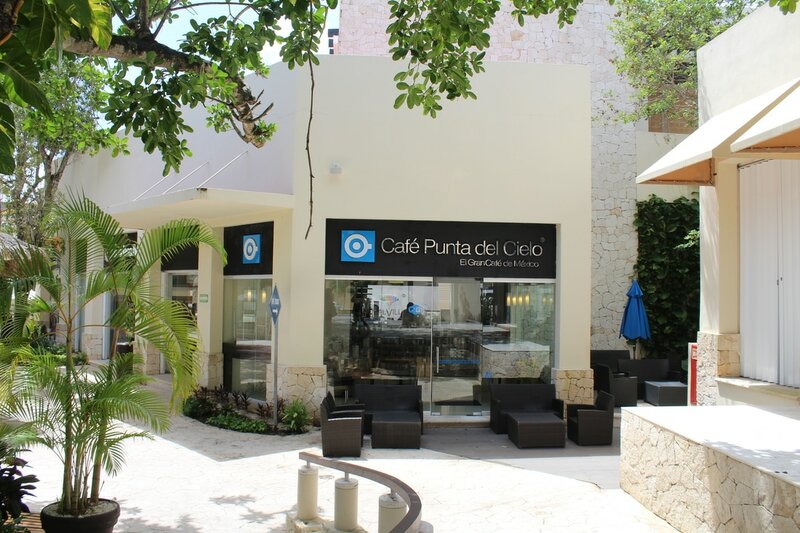 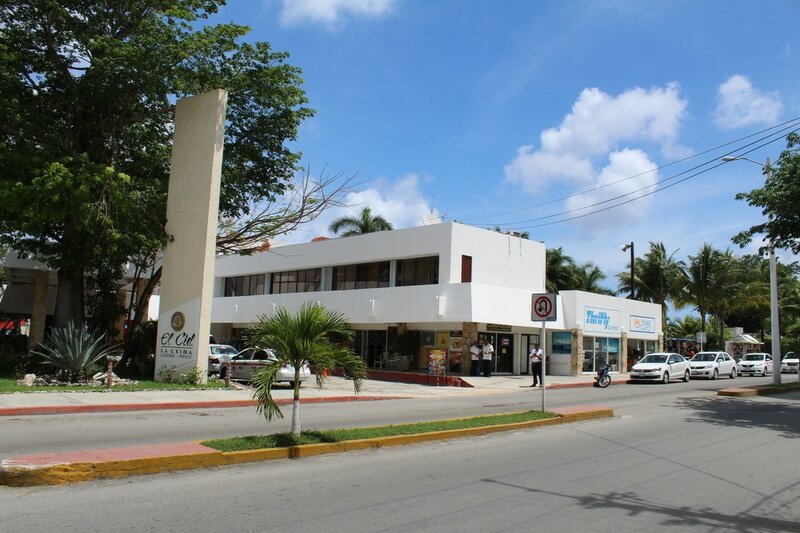 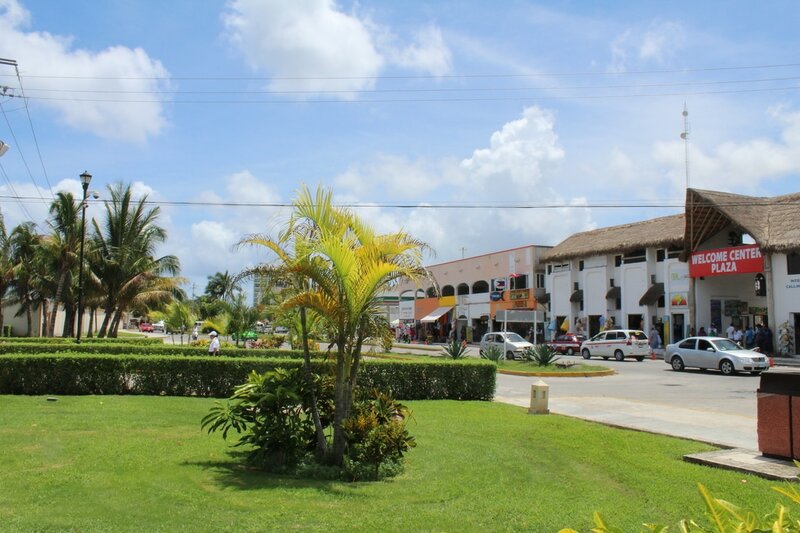 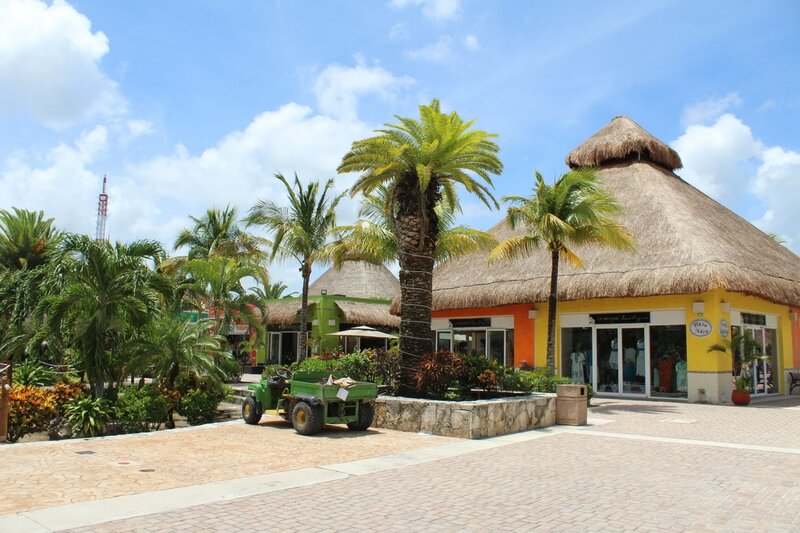 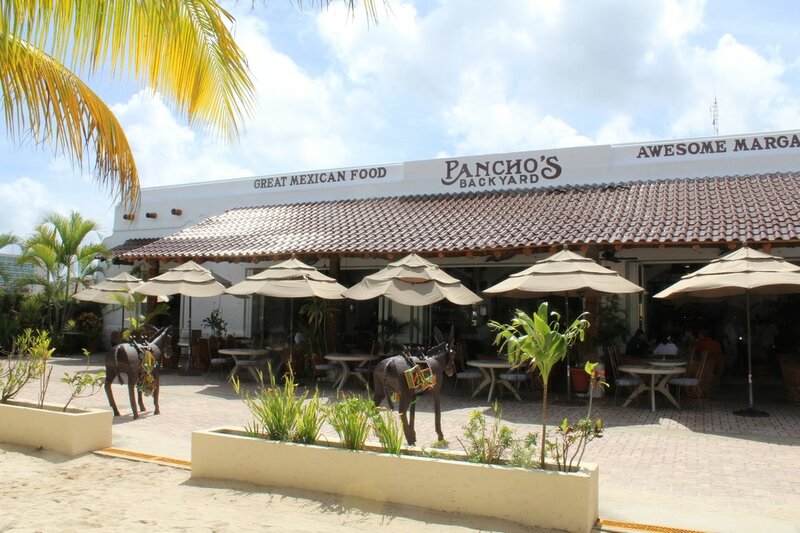 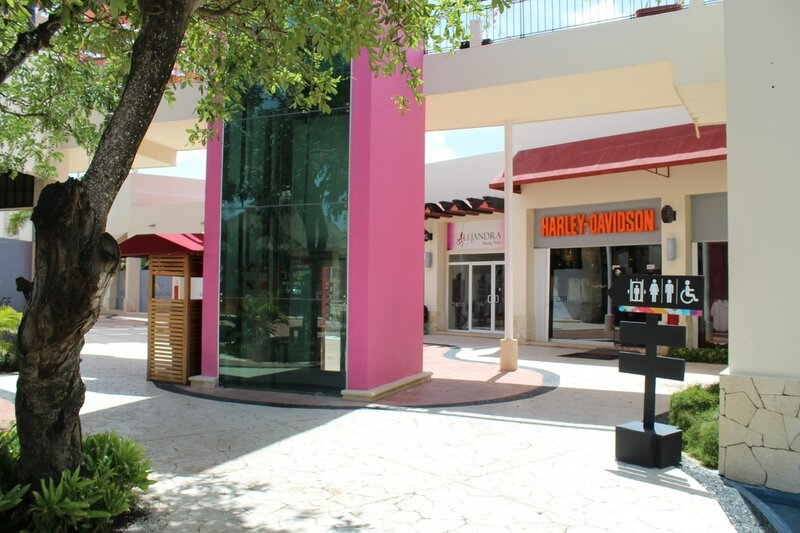 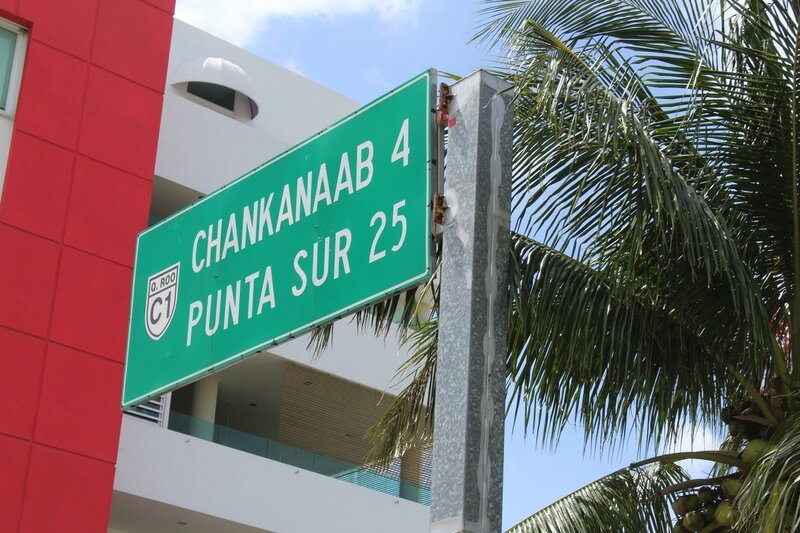 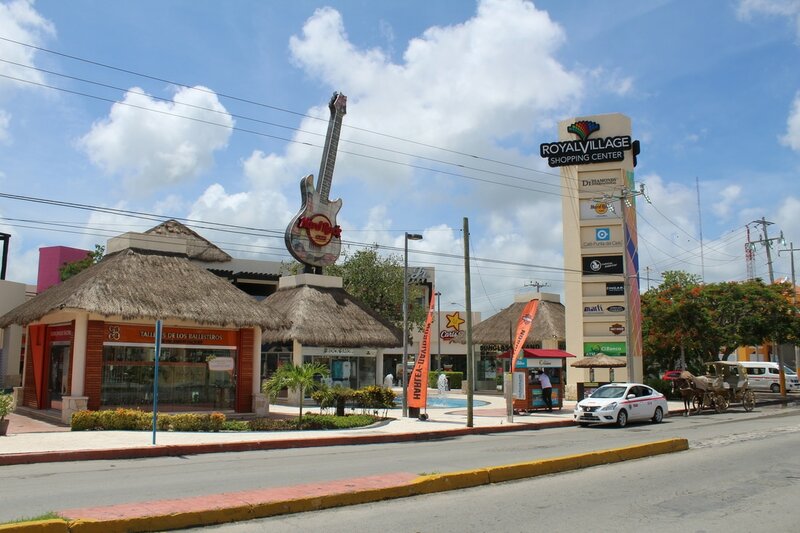 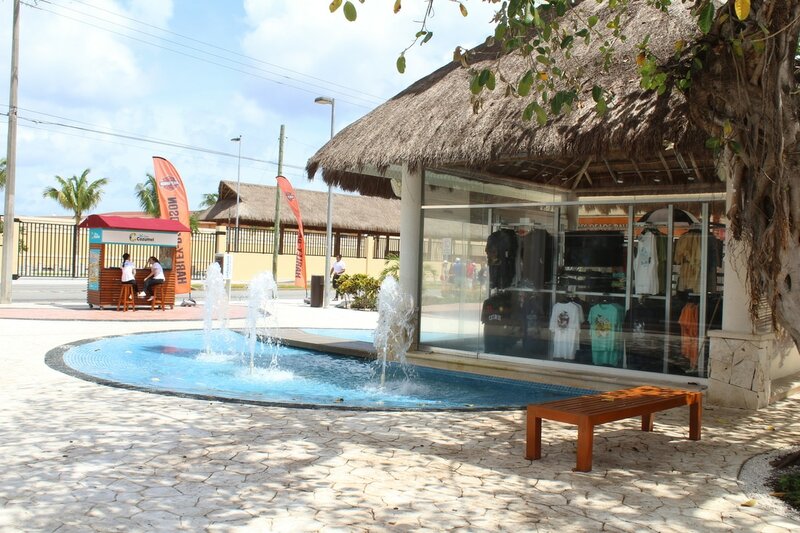 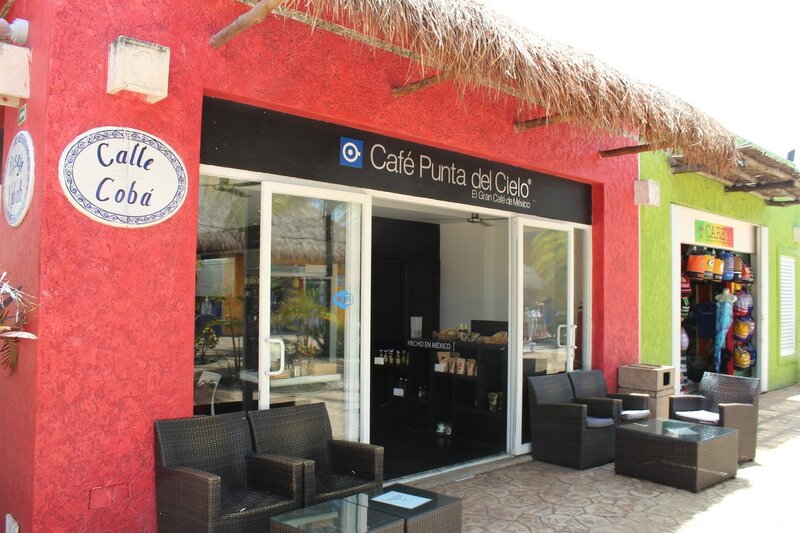 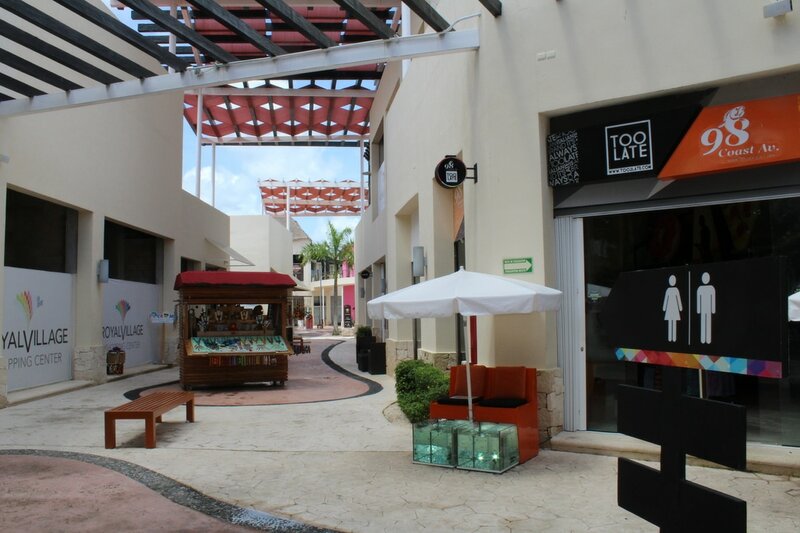 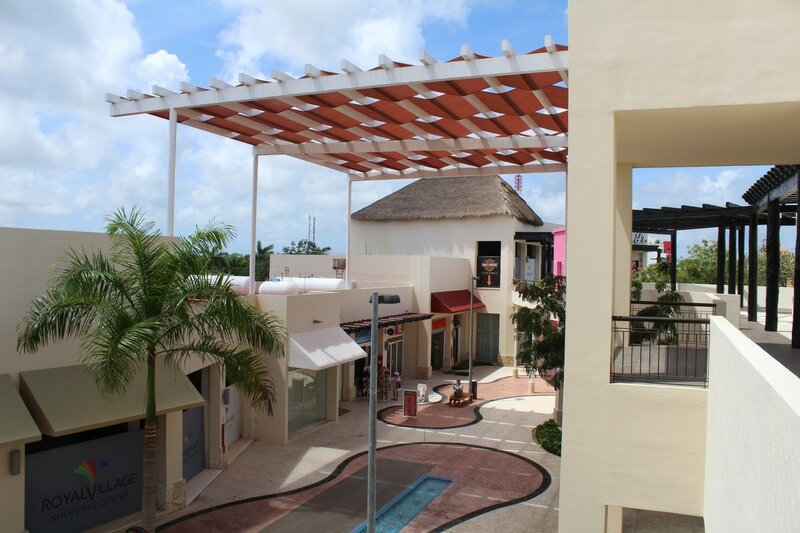 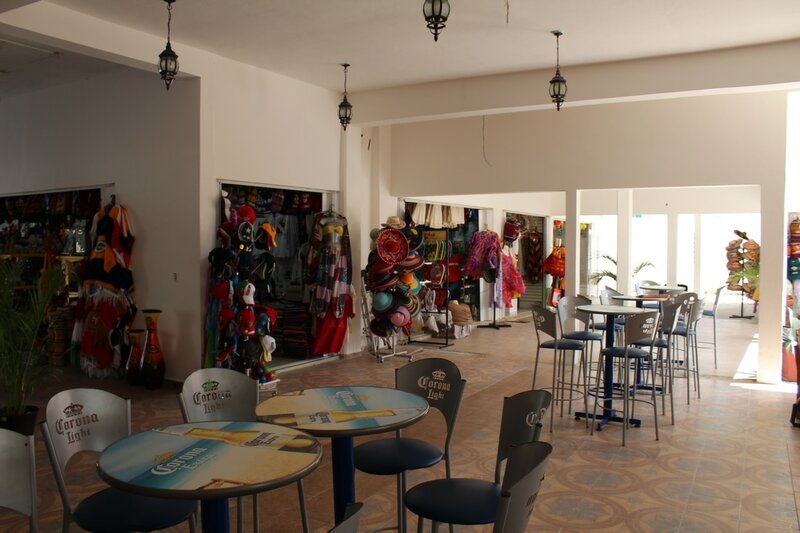 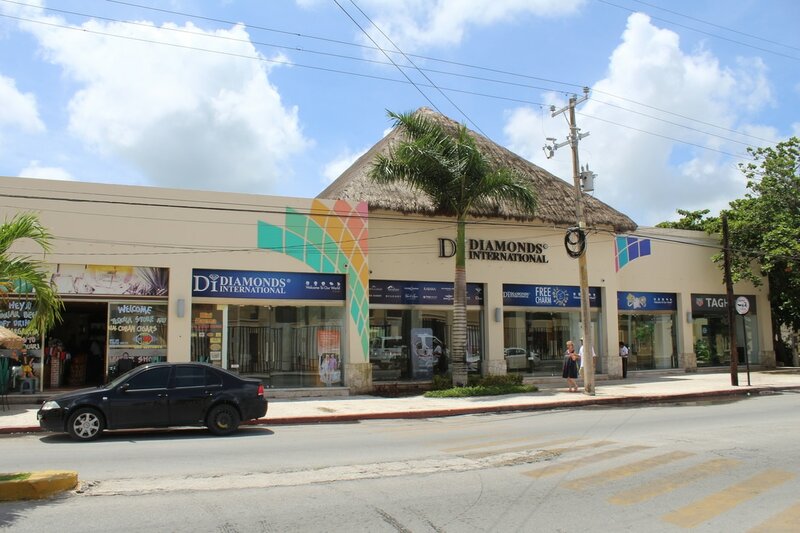 Puerta Maya has several places to shop, eat, drink, and look. 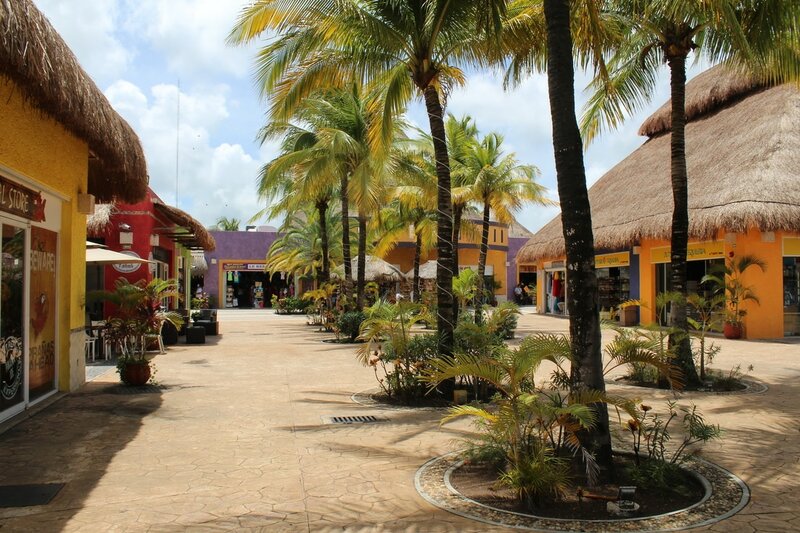 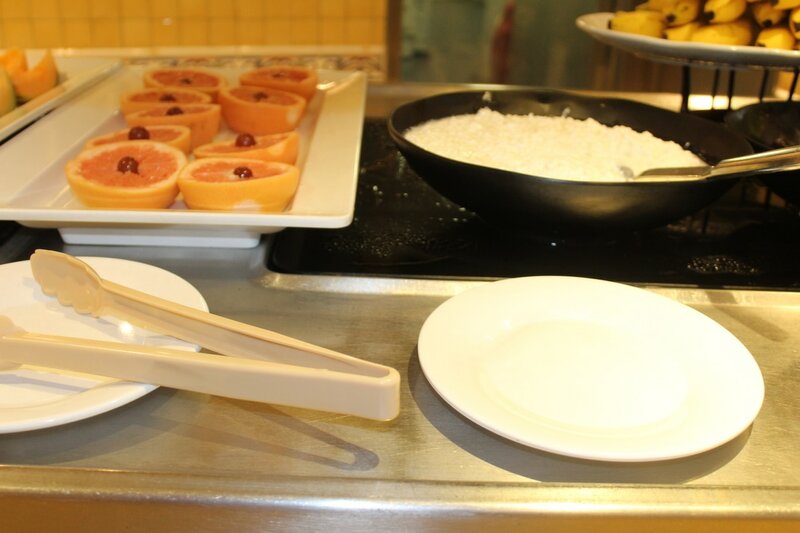 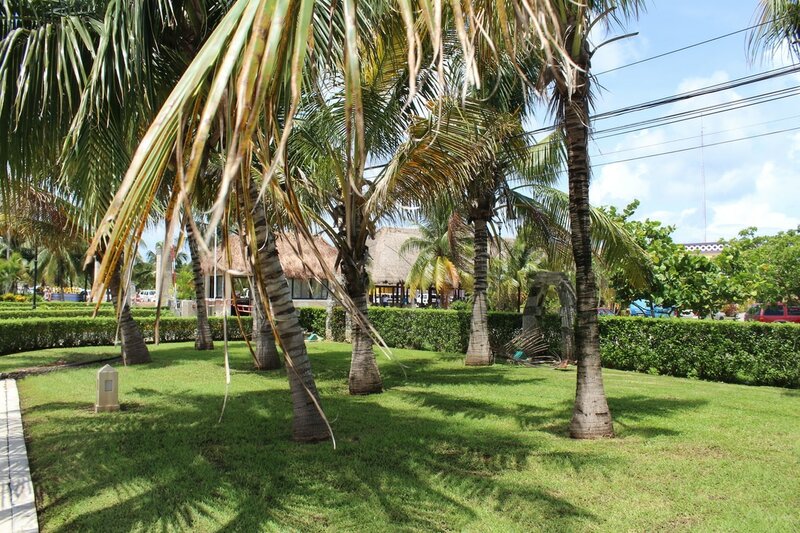 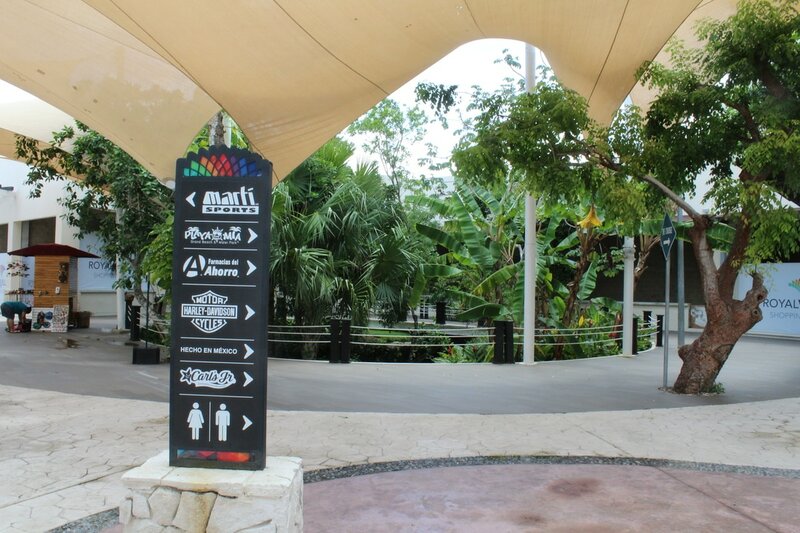 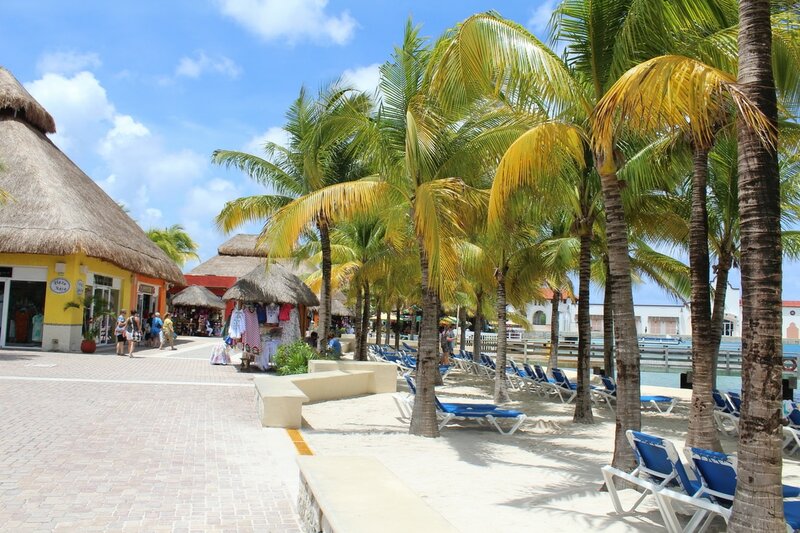 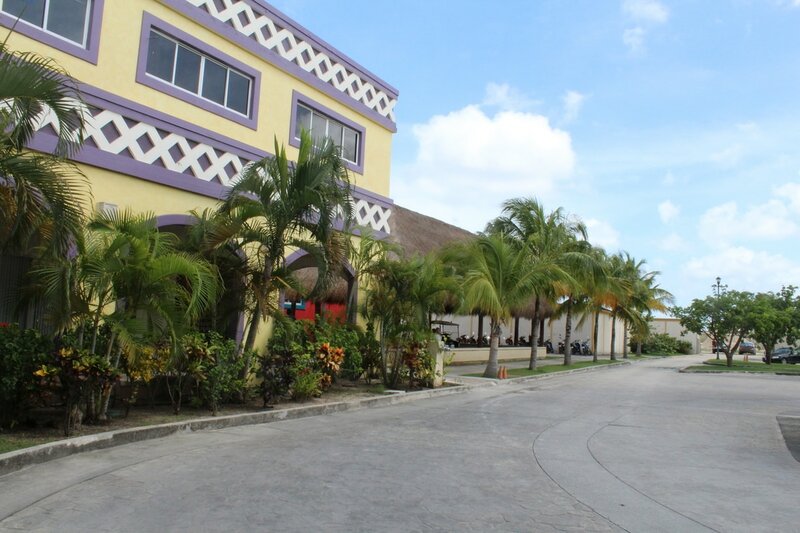 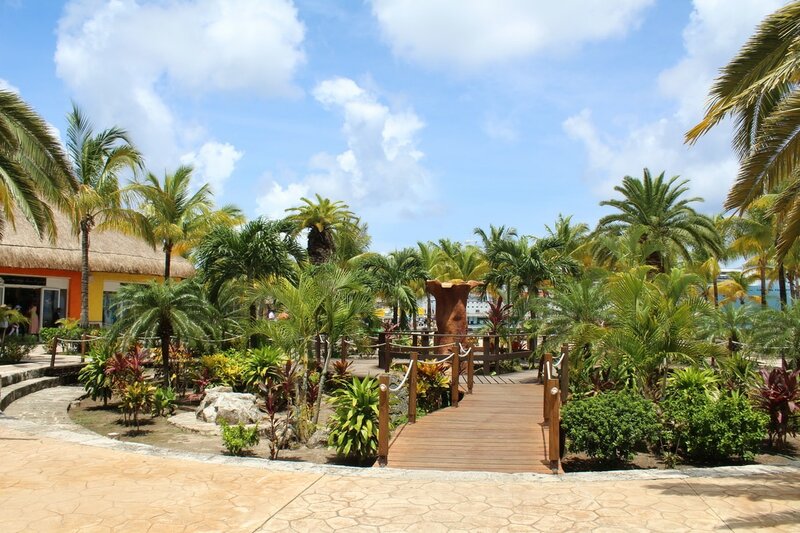 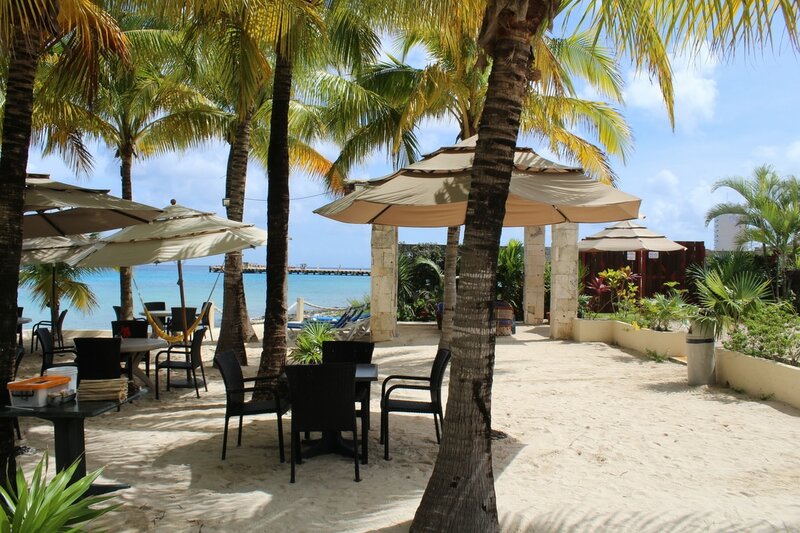 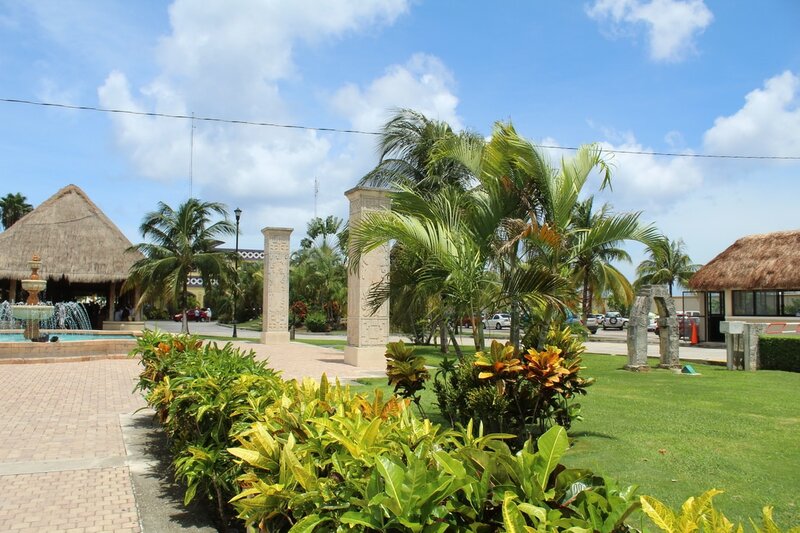 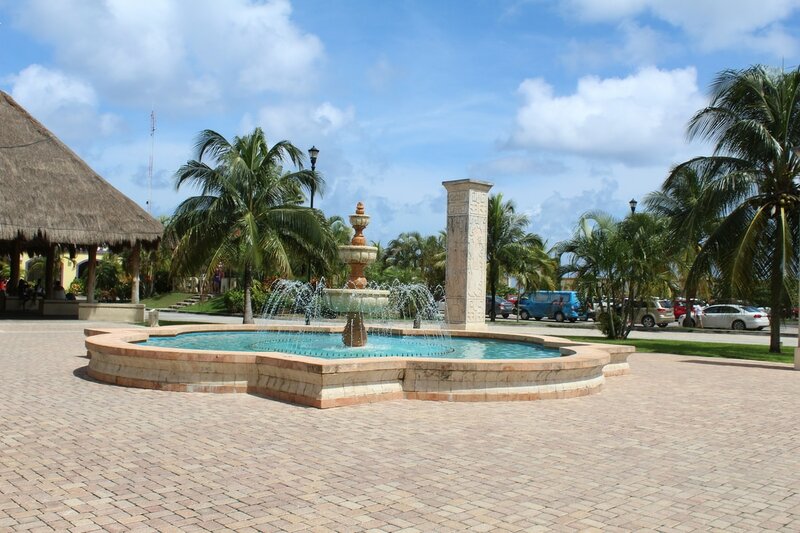 The tropical look and feel of Puerta Maya offers several great areas to take some pictures. 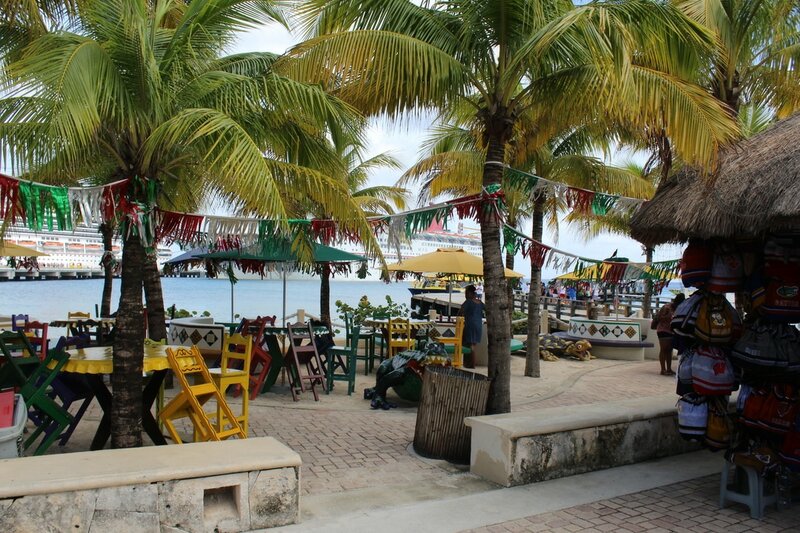 Each time I am in Cozumel, this beach is one of my favorite stops at Puerta Maya. 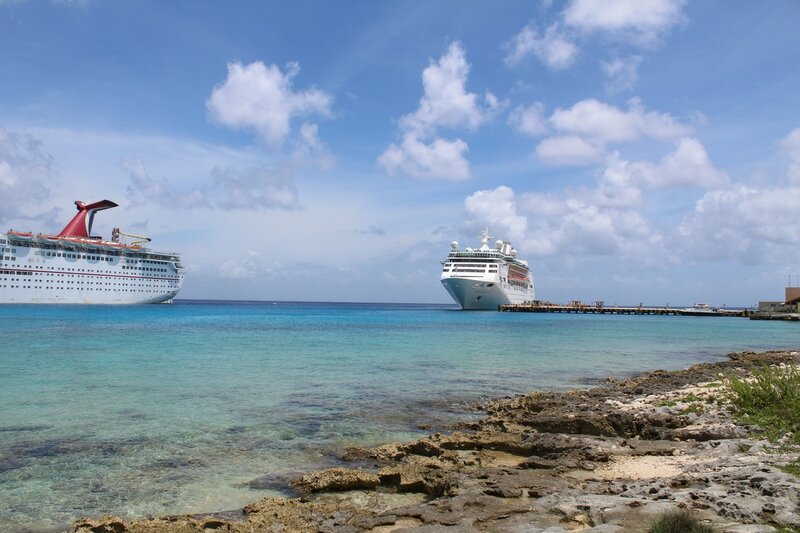 This is because this area offers a great look at the ships. 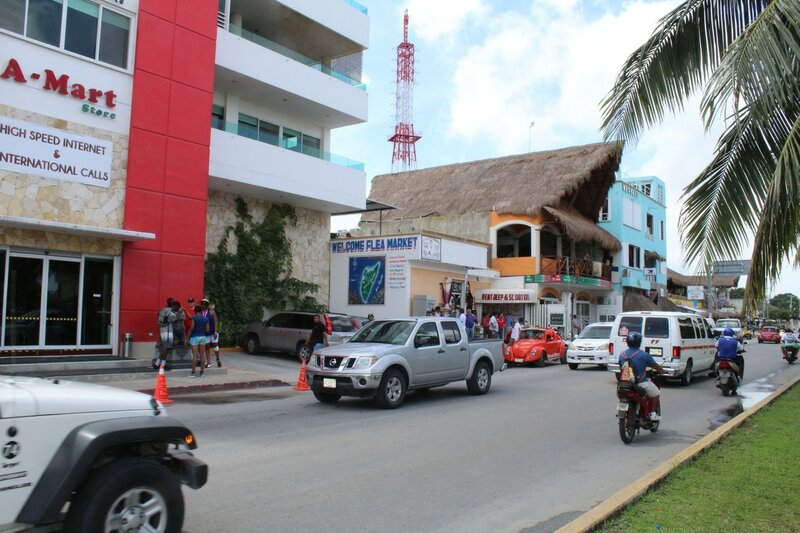 After walking around Puerta Maya for a little while, we crossed the street to see other shops and areas. 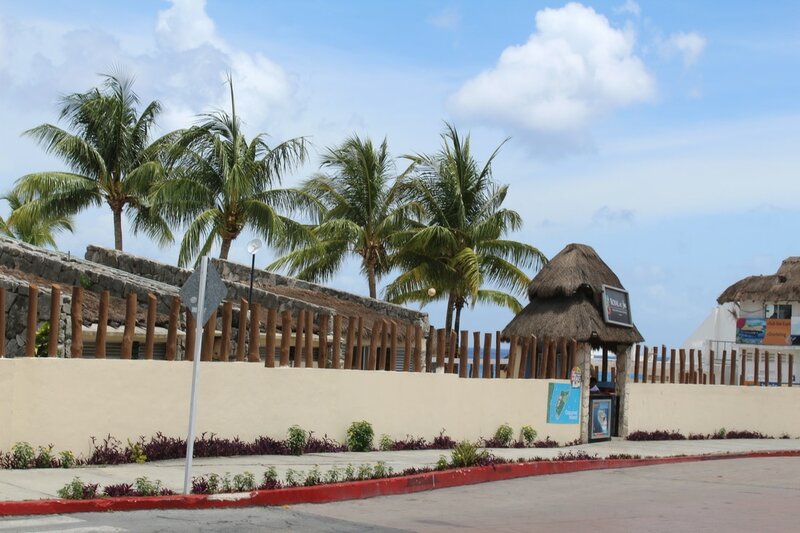 This was no longer a part of Puerta Maya. 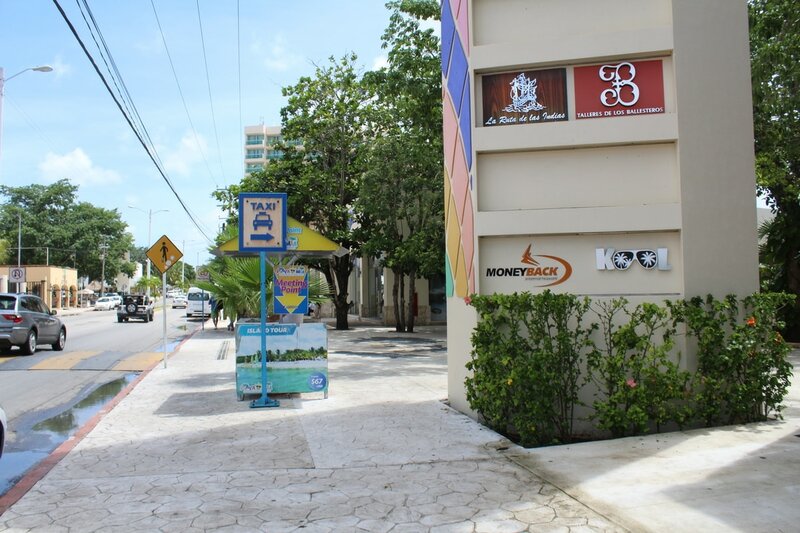 Crossing the street was a little dangerous this time because there was no crossing guard. 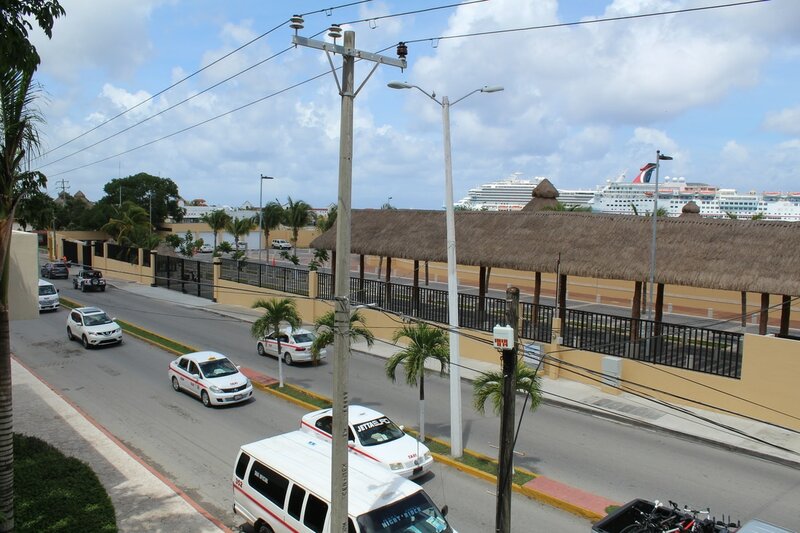 Typically, a crossing guard was present in this area on past cruises to make sure people safely crossed the street. 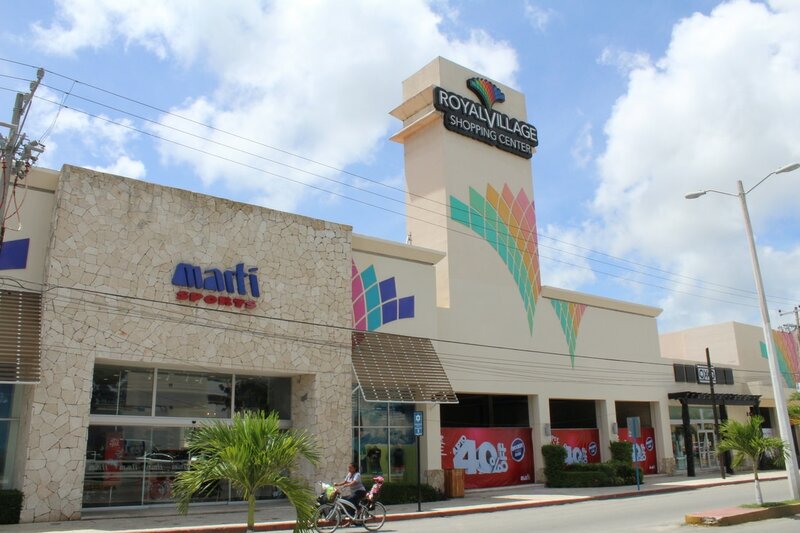 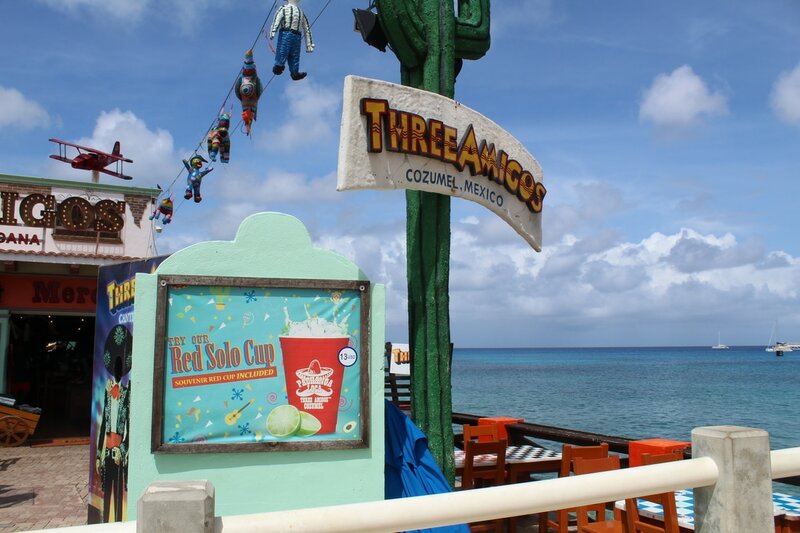 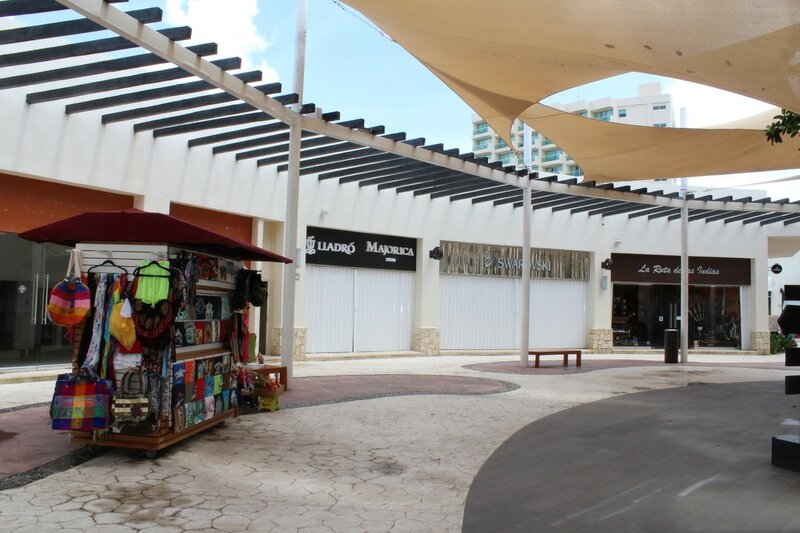 The shops and areas located across from Puerta Maya have slightly cheaper prices for some of the same things sold in stores closer to the ship. 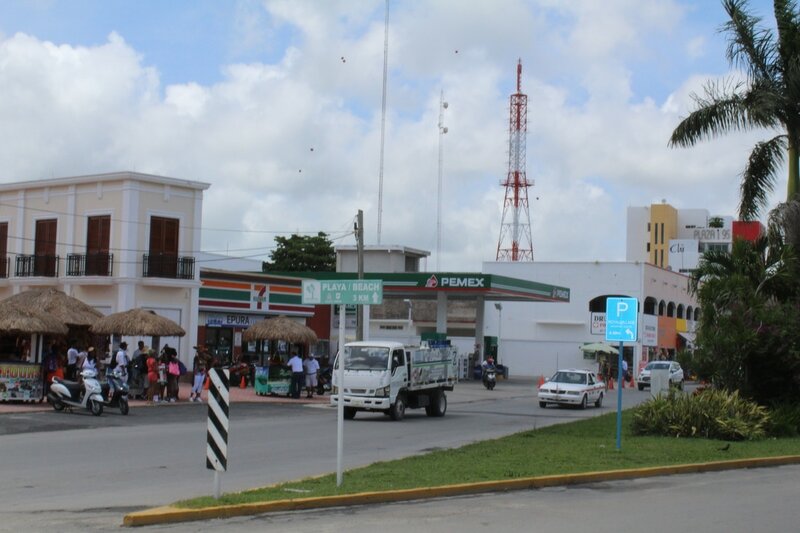 We stopped at a Seven Eleven and got bottled glass Coca-Cola (with real sugar) priced at 2 for $1.00. 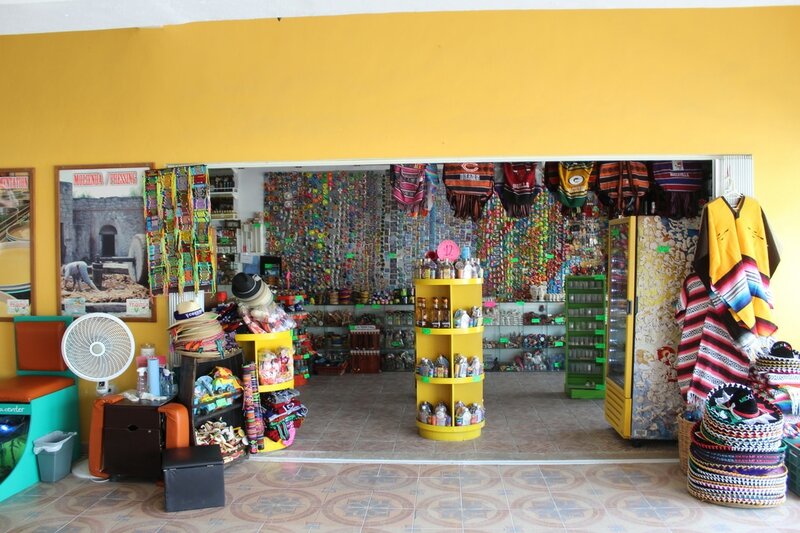 The prices in the store were in pesos, but a local that was shopping in the store gave us an estimate of how much that would cost in US dollars. 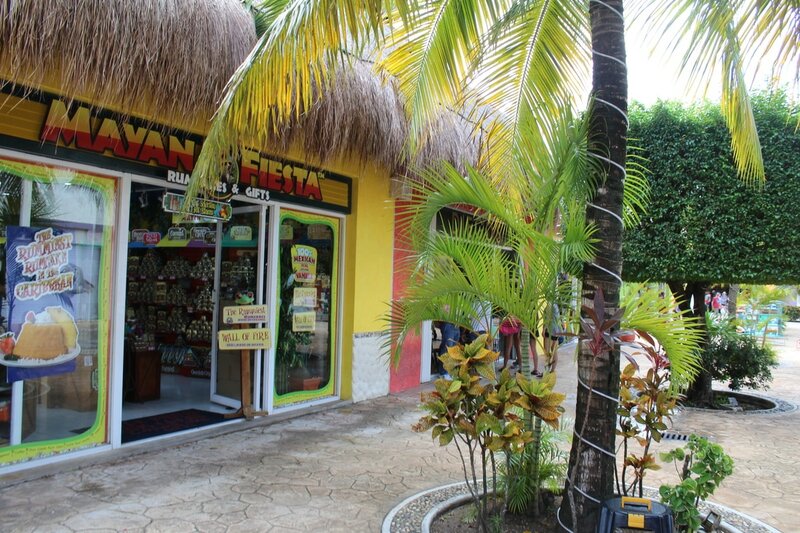 When we got to the cash register, the cashier accepted our US dollars and told us the actual price was two for one dollar. 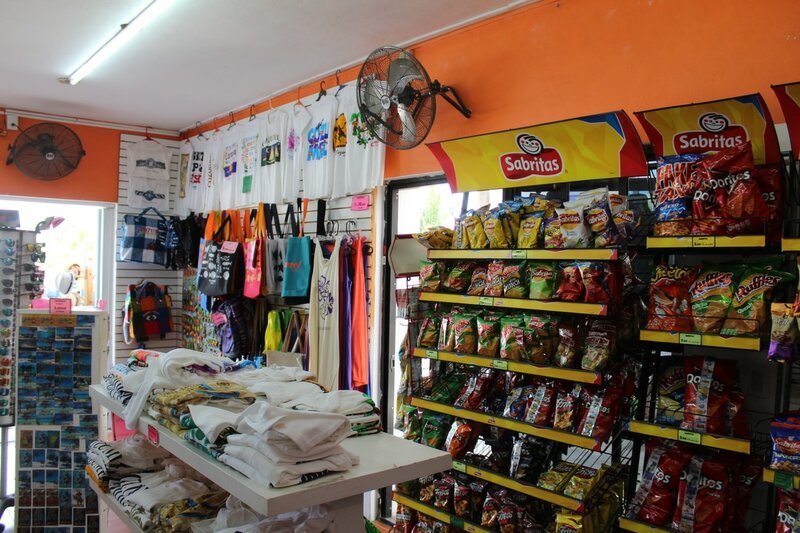 As we continued walking around, we were constantly bombarded with requests from shopkeepers to come visit their stores. 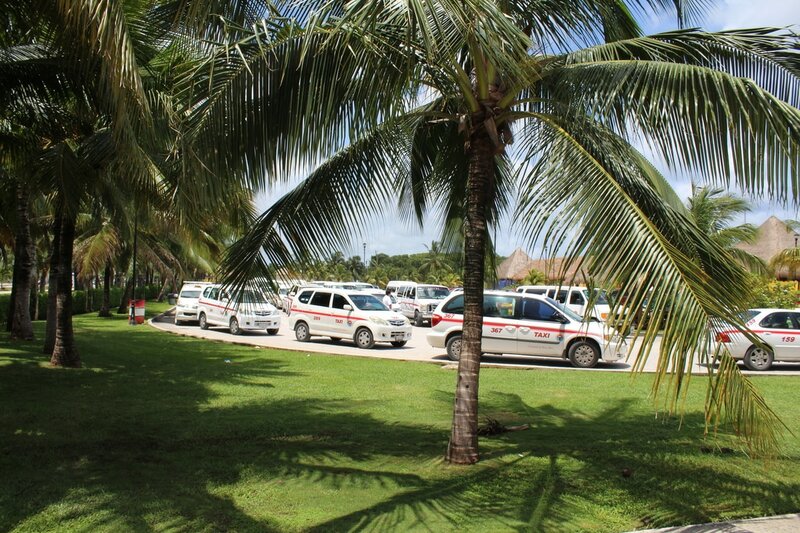 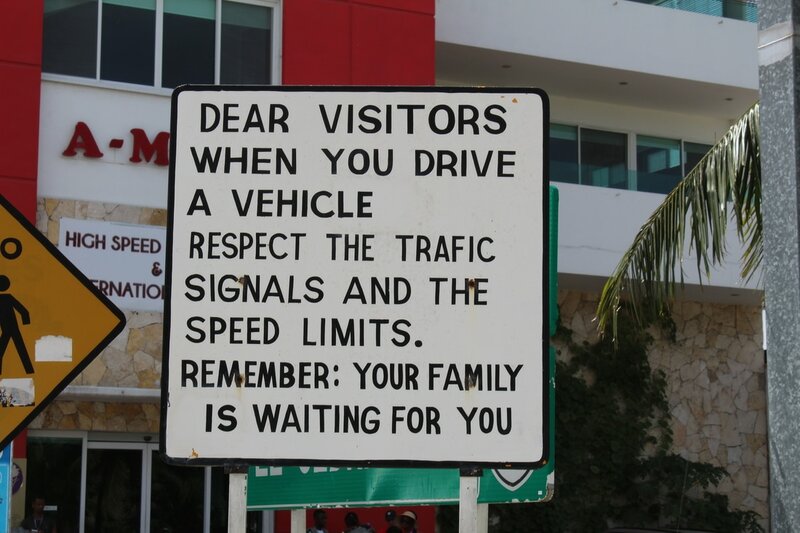 Also, we were constantly hounded about paying for a taxi. 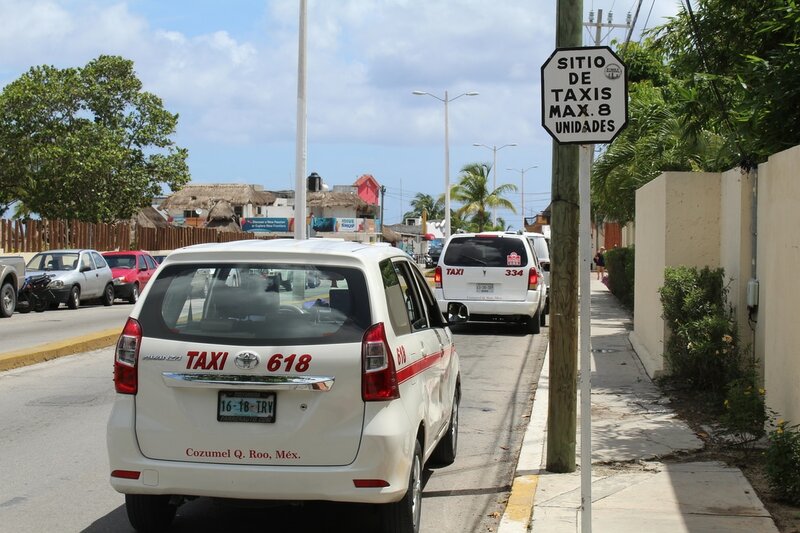 Since we had no plans to go too far, we did not pay to ride a taxi. 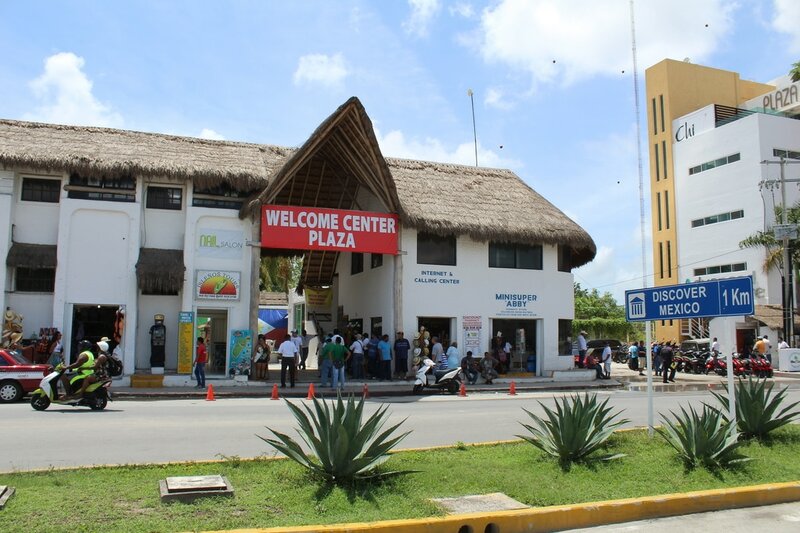 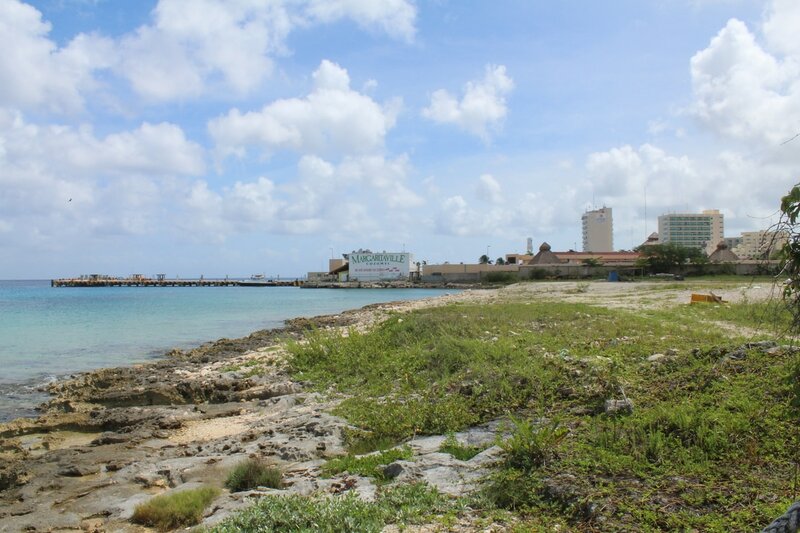 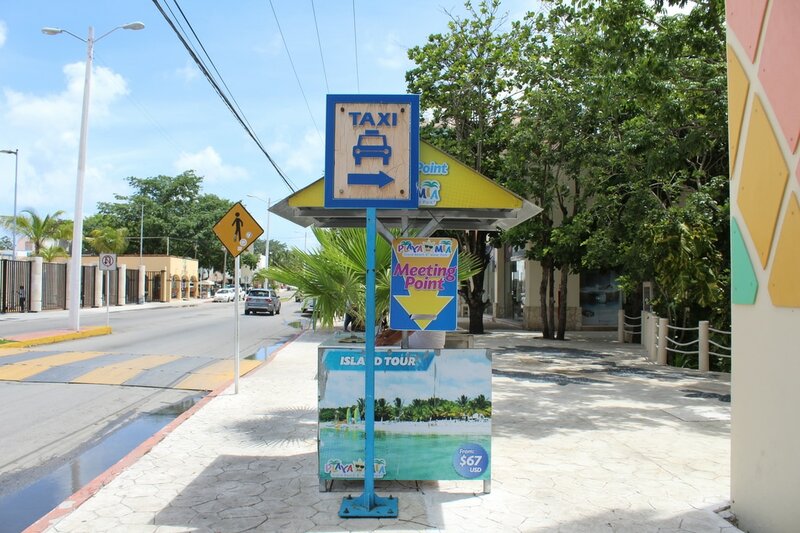 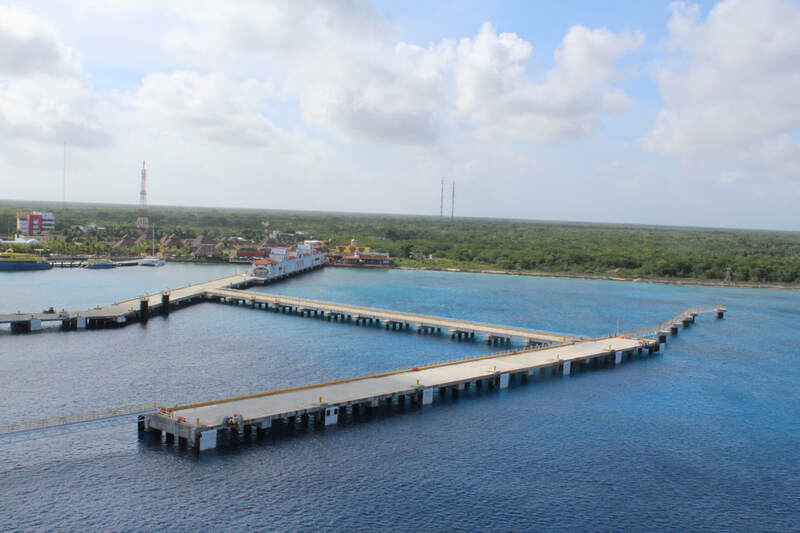 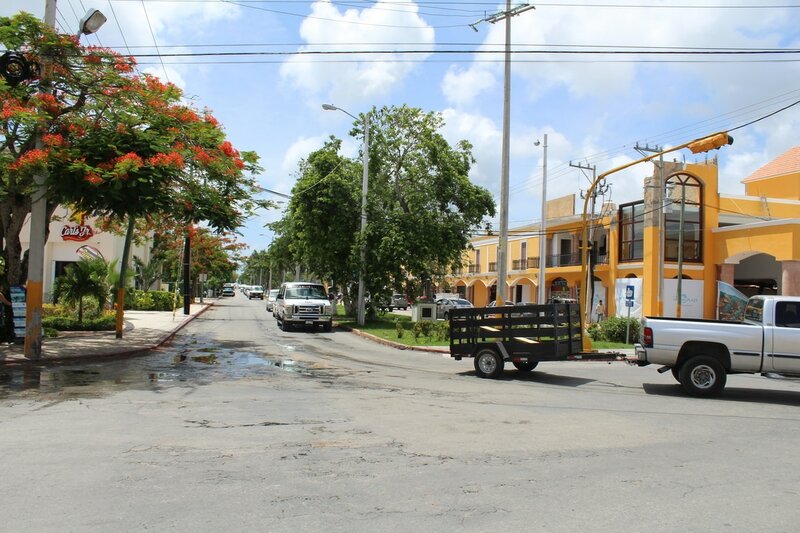 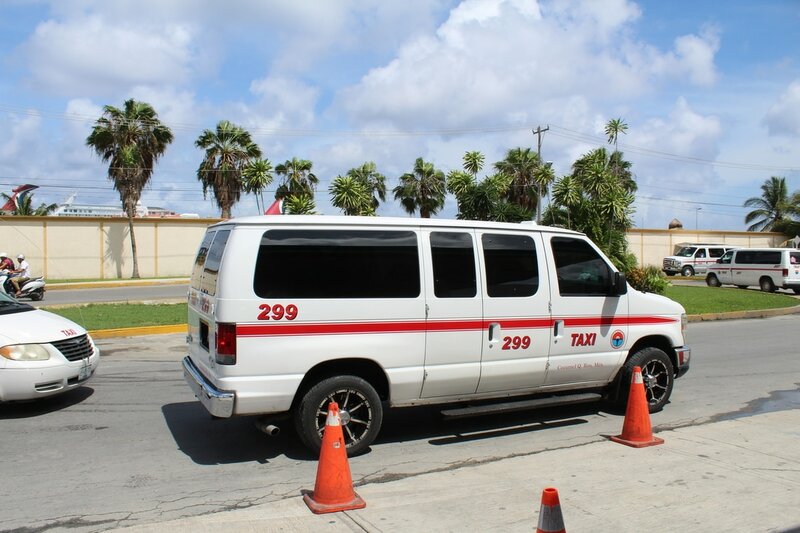 Next time we are in Cozumel, we are planning on paying for a taxi to take us to Punta Langosta (which is located in the downtown area of Cozumel). 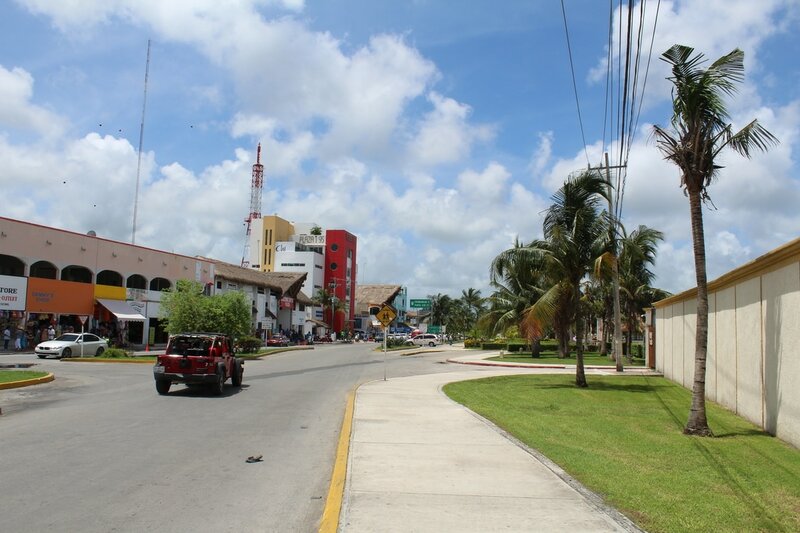 After walking several blocks on one side of the street, we crossed the street again to begin walking back towards Puerta Maya. 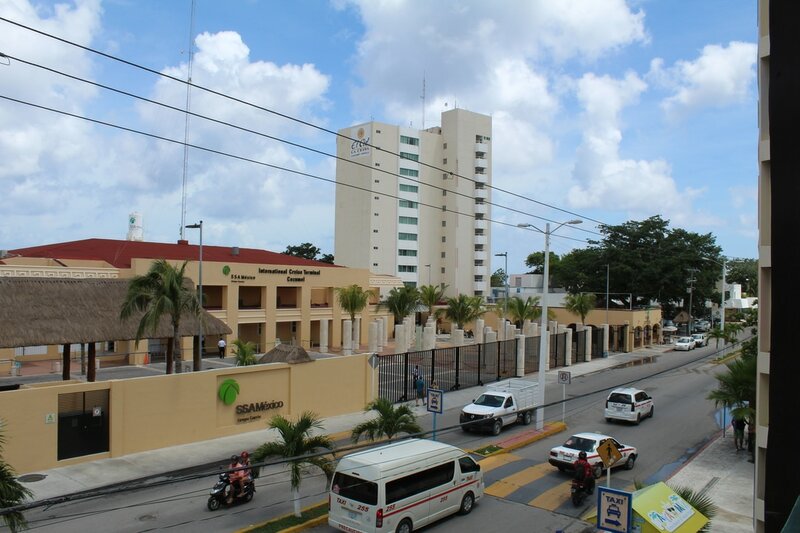 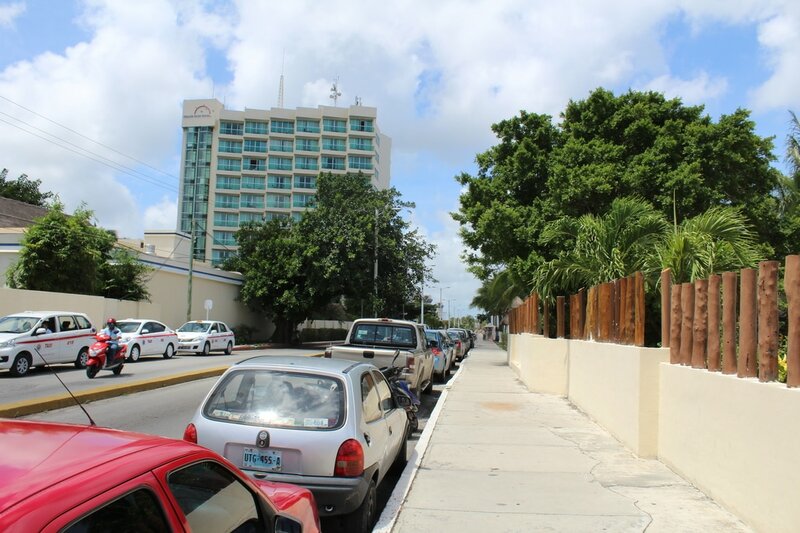 Several people were walking back to Puerta Maya from across the street and the blocks adjacent to the shopping complex. 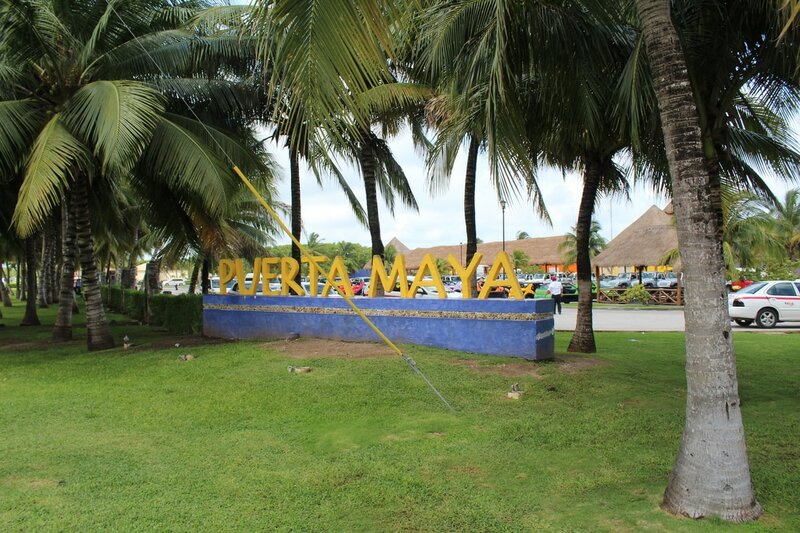 There are big block letters that spell Puerta Maya as you re-enter the area, but several people were taking pictures there so I was not able to get a good picture of those letters. 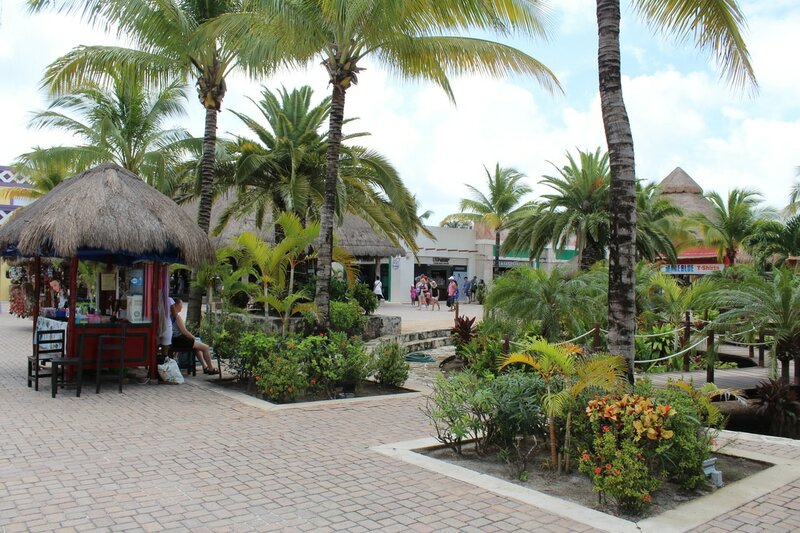 After walking around Puerta Maya some more, we walked back by the little beach area. 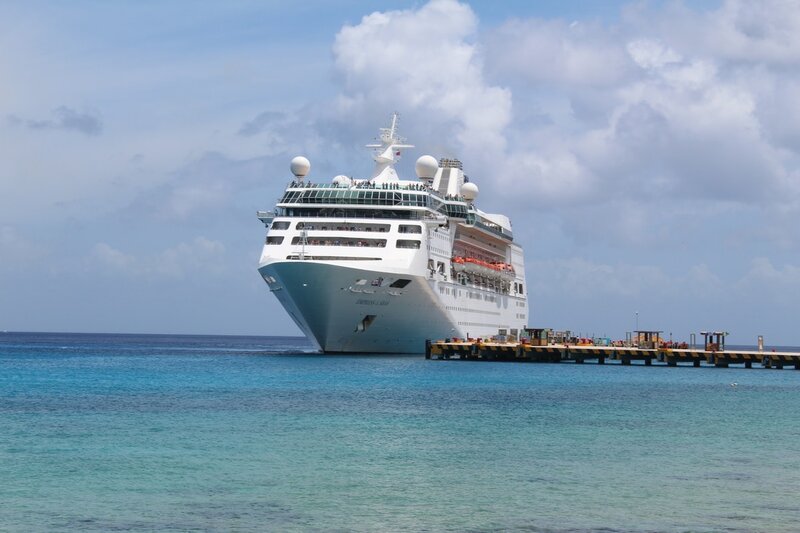 The Empress of the Seas, a Royal Caribbean ship, was in the process of docking at a different pier. 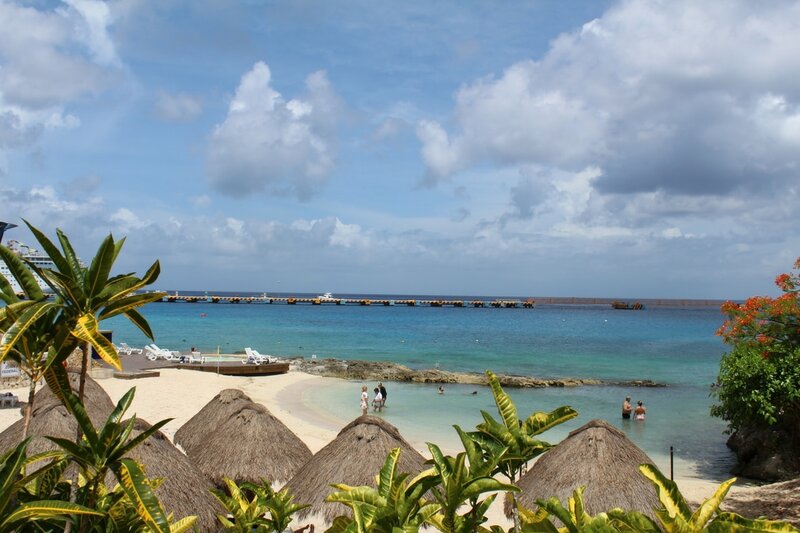 ​Continue To Day 3 Part 2! 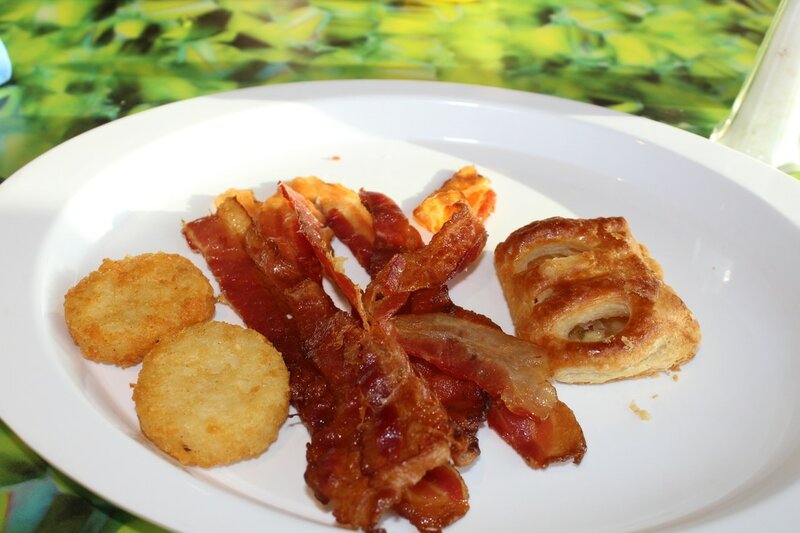 ​Click Here To Continue To Day 3 Part 2!